Are you considering moving to Ontario? Or maybe you are in Ontario but want to relocate to another city? It is not uncommon for individuals to want to move if they feel there are better prospects, a better life, or a better future waiting somewhere else. People move because they want a new job or want to have a new lifestyle. Some people move to pursue higher education or to live in a city with more culture or better suited to raising a family. Whatever the reason you are considering a move, Ontario has it all. From the best educational institutions, a booming economy, quality healthcare, and low crime rate, you will find that Ontario has many cities that offer most, if not all, of the above. 5MoversQuotes has prepared a list of the Top 15 Best Places in Ontario to relocate so you can carefully choose and plan your move. We are as excited as you to find your dream home, your dream job, and create a whole new life filled with potential in your new Canadian city. Canada is a great country to live in, work, and raise a family. Crime rates in the country are low and it has communities that are safe and secure. In fact, Canada is ranked 9.7/10 in terms of safety by the OECD Better Life Index 2014. Choosing where to live in Canada can be tricky as there are so many great places to move to. What makes a city a great place to move among other places? The province of Ontario boasts of having the best cities in the world that are culturally diverse, economically dynamic, with a great geographical advantage being so close to the USA, and ethnically diverse populations. Despite the capital Ottawa being located in Ontario, it is, at best, city living but without the stress and hustle and bustle you would find in other metropolitan areas. Its scenery is one of the best in the country, most notably Niagara Falls with its spectacular sights. Ontario is very welcoming to new arrivals and immigrants and has the highest bilingual communities for English and French in the country. This makes it easier for new people to adjust and become part of their new environment. In terms of economy, the Province of Ontario accounts for more than half of the country’s manufacturing shipments. Finance and technology are a big part of the local economies. Not surprisingly, there is a high rate of employment in the province compared to other parts of Canada. Are you ready to take your pick of your perfect Ontario City? Let’s get started with a review of the best 15 cities to move to. This city ranks # 1 as best place to live in Ontario and best place to live in Canada, according to MoneySense Magazine. As the capital of Canada, it is located on the southern bank of the Ottawa River in southern Ontario. It borders the city of Gatineau, Quebec and these 2 cities form the National Capital Region, composing the 4th biggest city in Canada. Around this main urban area lies a wide greenbelt consisting of forests, farmland, and marshland. This geographical advantage allows many people living in nearby Gatineau to easily commute to Ottawa to work daily or enjoy the cultural and entertainment amenities of Ottawa. The city has an estimated population of 1 million as of 2014. The city has the highest literacy in the country and home to various post-secondary, research, and cultural institutions. It also enjoys the highest standard of living and high employment rate. From 150 countries all over the world, Ottawa was ranked 2nd for quality of life. The climate is humid continental with 4 distinct seasons. Summers are really warm with July temperatures easily over 30 degrees C while January temperatures can dip to -14.8 degrees C. Winters are snowy and icy for the 3 winter months. While the city has a main urban area, there are many rural and suburban areas within the city limits and extends a significant distance to the east, west and south including Gloucester, Nepean, and Vanier. The Kanata area includes Stittsville, which lies on the southwest. 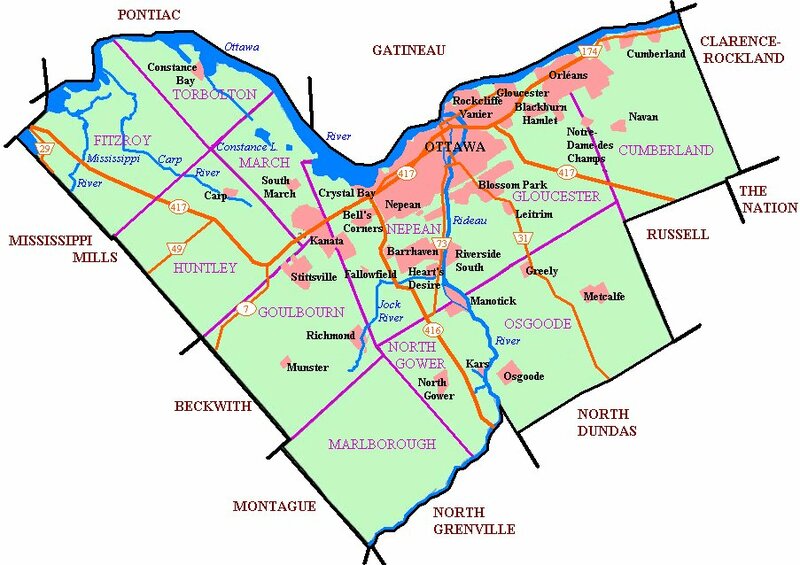 Beyond the greenbelt area are rural communities and towns that are still part of the National Capital region but considered outside of the City of Ottawa’s boundaries. These are the communities of Almonte, Embrun. Rockland, Carleton Place, Kemptville, and Russell. Since 2002, bilingualism became an official policy for conducting business in the city. As of 2006, more than 37% of the city’s population can speak both English and French, making it Canada’s most bilingual city with co-official languages. In order to find gainful employment, it is ideal for an individual to speak both French and English. As the country’s capital, one the city’s biggest employer is the Public Service of Canada with the high-tech industry a close second. Many of the nation’s federal departments are based here. Considered the Silicon Valley of the North due to the presence of these high tech companies, some of the major companies based here include Bell Canada, IBM, Corel, Calian, Alcatel Lucent. and Adobe, to name a few. Mercer ranks Ottawa as the 3rd highest in terms of quality of life in North America and 16th in the world. It is also the 2nd cleanest city in Canada and 3rd in the world. In 2012, MoneySense magazine ranked it as the best community to live in Canada for the third consecutive year. Compared to other Canadian cities, Ottawa was 4th highest in terms of GDP in 2007. The Ottawa-Gatineau region has the 3rd highest income among all major cities in the country. This is evidence of the affluence of the city. In 2013, when Canada’s average household income was $76,550, Ottawa households enjoyed an average income of $101,070. A significant drawback to living in Ottawa is housing because it has a below average score for housing affordability compared to other cities. However, homes in the city are considered to be cheaper compared to Vancouver, Toronto, and Calgary. The health sector is another major employer of the city and employs well over 18,000 people. There are various specialized hospital facilities such as the University of Ottawa Heart Institute and the Royal Ottawa Mental Health Centre. Other hospitals include the Montfort Hospital, the Children’s Hospital of Eastern Ontario, and the Queensway-Carleton Hospital. In Canada, the province or territory where you live determines how much taxes you pay. Income taxes in Ontario are significantly lower compared to Quebec which currently levies the highest tax on residents. Ottawa residents benefit from median taxes compared to Quebecers and those in British Columbia. Who says there isn’t any fun in Ottawa? You should know that while the city has a “serious” image, it has a lot of cultural attractions, entertainment, and sports for residents. Let’s start with the Canadian Museum of History across the Ottawa River. This is the most visited museum in Canada that also houses the Canadian Children’s Museum and the Canadian Postal Museum and a 3d IMAX Theatre. It was designed by architect Douglas Cardinal and cost 340 million to build. There’s also the national Gallery of Canada, Canada Agriculture Museum, the Canada Science and Technology Museum, the Canada Agriculture Museum, Bytown Museum, the Canadian Museum of Contemporary Photography, and the Currency Museum. Not to be left out are various performing arts housed in the National Arts Centre, including the Ottawa Symphony Orchestra, the National Arts Centre Orchestra, and Opera Lyra Ottawa. The city is also home to 4 professional sports teams namely the Ottawa Senators (ice hockey), Ottawa Redbacks (football), Ottawa Fury FC (soccer), and Ottawa Champions (baseball). Casual recreational activities popular in the city also include cycling, skating, hiking, golfing, skiing, fishing, and sailing. 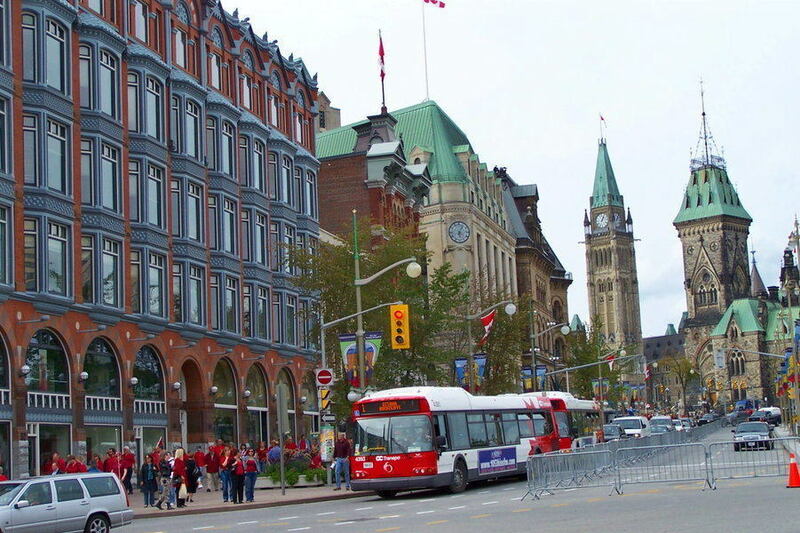 Byward Market (Lower Town), Parliament Hill, and the Golden Triangle in Centretown, are the usual venues for Ottawa’s cultural scenes. 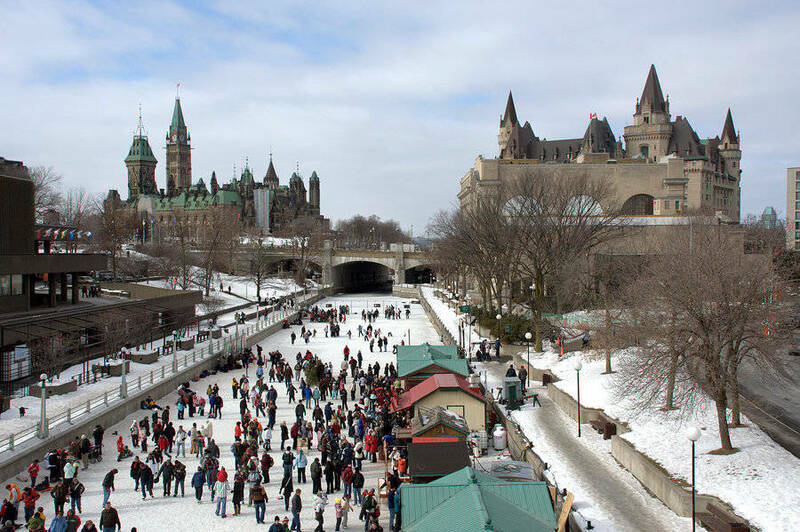 The city hosts various seasonal and annual activities including Winterlude, Canada’s largest festival, Canada Day celebrations, Bluefest, Canadian Tulip Festival, Dragon Boat Festival, Folk Music Festival, and Ottawa International Jazz Festival. The city also has many dining attractions with a thriving community of Ottawa chefs. Tourists and residents also enjoy a lot of shopping privileges – from large malls to quaint boutiques, shops, and souvenir items. Wondering how much it costs to live in Ottawa? The average cost for a house in Ottawa is $419,354. Not bad, compared to cities similar in size such as Toronto and Montreal. You can choose to live in rural areas, suburban areas, or much closer downtown. Majority of residences in the city are houses while around 30% are condominium apartments. You will also find row-houses, semi-detached, and detached homes. Of course, nearer downtown is much closer to cultural amenities, shopping, and commerce. Beacon Hill North is close to Parliament Hill and has around 10,000 residents. Most of the people living here are well-educated and earning more than the average income in Ottawa. It has the best public high school, Colonel By Secondary School, which was ranked #2 best Ottawa School by Fraser Institute. There are not many shops around this area. Average cost for a house is $450,000 and around $250,000 for a standard condo/apartment. Too much? You can also consider living in Nepean which is a huge Western Ottawa area. Some of its outer parts are rural while some are suburban or bordering the greenbelt. It is very close to the airport and has some good schools such as Algonquin College. It also has plenty of skiing, cycling, or walking trails adjacent to the greenbelt. Average cost of a home in Nepean is around $500,000 while a standard condo costs around $280,000. West Carleton-March is in the far west of Ottawa and is predominantly rural. It is but a short distance to the city and offers the chance to own a large home with lots of space and still be close to the action. This area has the lowest crime rate in the whole metropolitan area with one of the best secondary schools. If you land a job in Kanata, West Carleton-March will be an easy commute. However, from downtown Ottawa could take you about an hour’s drive. An average home costs around $350,000. If you want a family oriented suburban area to settle in, Kanata North can be a good choice. It lies south of West Carleton-March and has a fast growing population with many newly built houses. You’ll find Kanata Research Park here which is home to many of the Ottawa’s biggest employers. If you’ll be working downtown, expect to drive about an hour in normal traffic or by bus. Average house price is at $430,000. Last is Barrhaven which is on the west side of Ottawa. It is nearer downtown Ottawa and also has a fast growing population. This is another family-oriented suburban area and boasts of the best secondary schools and low crime rate. Ottawa’s inter-city train station is located in Fallowfield, Barrhaven. From Fallowfield to downtown can take about 40 minutes by bus or car. Average cost for a home is $350,000 and about $240,000 for a condominium apartment. Do you think Ottawa is your best moving destination? 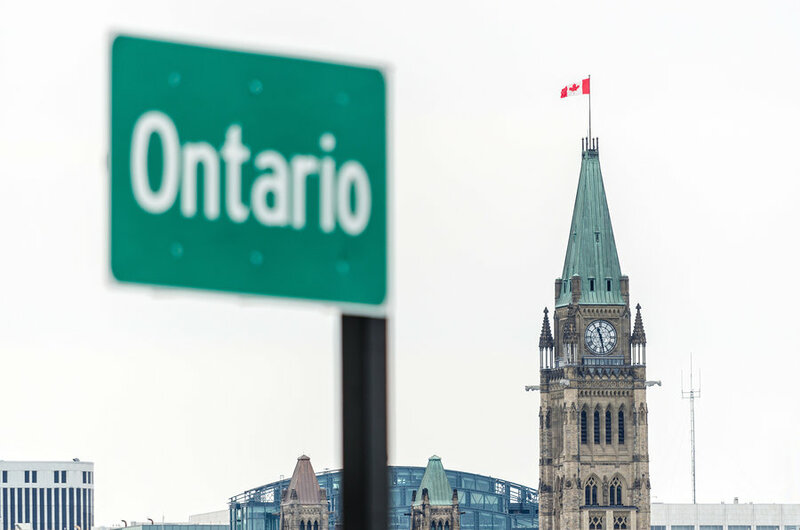 Check our complete Moving Guide to Ottawa for more information about useful resources, moving tips, and compare the best Ottawa moving companies and movers to help you plan your move. 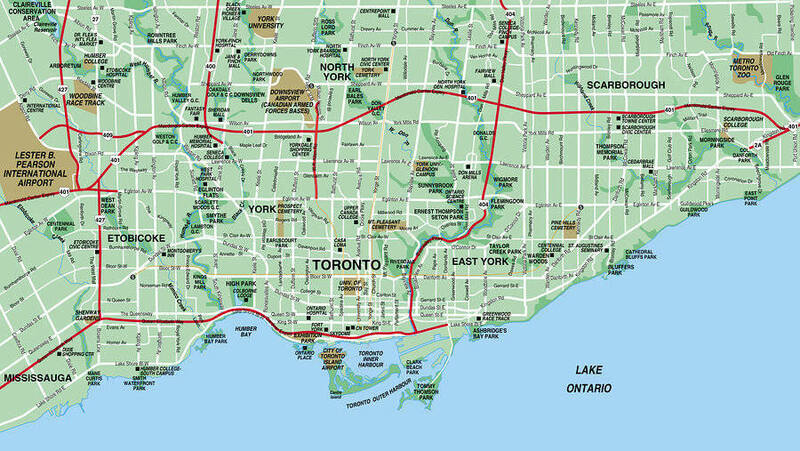 Toronto is a huge city, and is even larger if you consider the Greater Toronto Area which consists of all of its surrounding communities. What beckons people to move here? Close to 6 million people live in the Greater Toronto Area. This diverse and booming metropolis offers incredible professional opportunities and high quality of life. Located in Lake Ontario’s northwest shore in Southern Ontario, it is east of Quebec, southeast of New York, and southwest of Michigan, USA. It is a mere 2-hour drive to the US border. 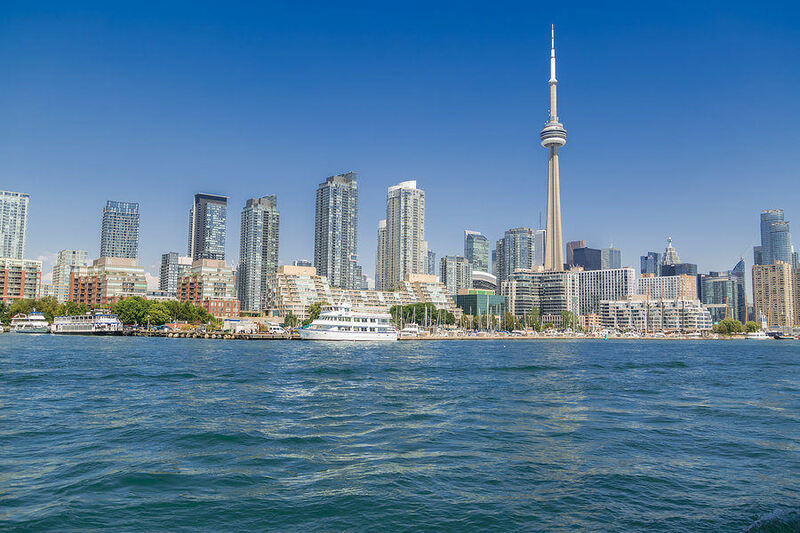 Toronto ranks high as one of the world’s most livable cities according to the Economist Intelligence Unit and Mercer’s Quality of Living survey. It is Canada’s capital for commerce and is headquarters to many of the world’s financial giants. Due to its southerly location, the weather in Toronto is considered moderate. While temperatures vary throughout the year, its summers are pleasant but winter can be extremely cold, like -10 degrees C. Still, winters here are not as cold as other parts of Canada. The public transport system is excellent and includes streetcars, buses, and subways. It may be a bit expensive than other cities but it definitely offers great access and painless commute anywhere you want to go. It is a multicultural city with millions of immigrants from Italy, Portugal, Chile, Greece, Asia, and the UK living here. Statistics say that almost half of the city’s populations were born outside of Canada. Often called the City of Villages, you can find everything from Little Italy to Chinatown and even Little Malta. Whatever world cuisine you want to dish out, you’ll find a grocery store for your ingredients. The mix of incredible restaurant offerings from every conceivable cuisine in the world can amaze and satisfy even the most discriminating palate and budget. It is said that Toronto has more than 6,000 restaurants catering to every type of cuisine with people who actually came from that country to prepare and serve it. Toronto is also a very clean and safe city. Few of its neighborhoods are tagged as high risk and many places in the city draw huge crowds out for enjoyment. It has many parks and walking trails, shopping and entertainment districts, and beautiful waterfront parkland. Unlike in Ottawa, English is predominantly spoken and although French is its second official language, it is rarely spoken. Perhaps this is what attracts a great majority of non-French speaking people as language is not an obstacle to finding good employment. Toronto is the business and financial capital of Canada and hosts the 3rd largest stock exchange in the Americas. It was named the 10th most economically powerful city in the whole world by Forbes Magazine. Its financial district is centered on Bay Street which is like New York City’s Wall Street. Here can be found the headquarters of 5 of Canada’s biggest banks. The Greater Toronto Area is also Canada’s global technology hub that generates more than $52 billion in annual revenues. The Kitchener-Waterloo region and Hamilton City has a high concentration of tech companies reminiscent of Silicon Valley. It employs more than 168,000 workers in 15,000 companies in the technology sector. More than 50% of Canada’s biotechnology cluster is also based in the city along with various large hospitals and research institutions. Some of the city’s biggest employers also include Fairmont Hotels and Resort, Marriot (Canada), Sunwing Airlines, McDonalds (Canada), McClelland & Stewart, Nortel, Rogers Communications, Coca Cola (Canada), BMG Music Canada, Toyota Manufacturing (Canada), and Manulife Financial. Compared to housing in Ottawa, real estate prices in Toronto are much steeper, hovering close to $1 Million. Due to its high-priced real estate market, it has become quite trendy in Toronto to live in narrow houses right in downtown Toronto. As mentioned earlier, Toronto is home to diverse ethnic populations who have built vibrant communities and neighborhoods. What are the most interesting communities in Toronto? 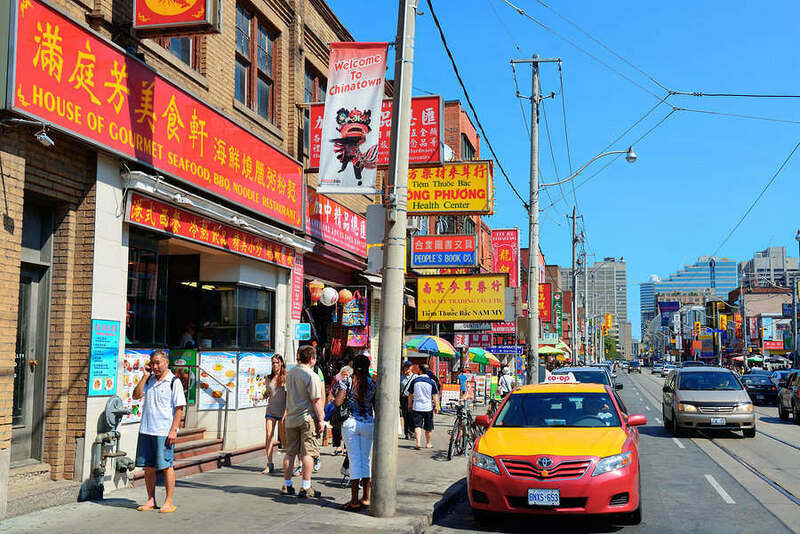 Toronto boasts of a huge Chinese community which can be found from Spadina and Dundas Street West. Here you will find a wide variety of stores, malls, specialty shops and impressive restaurants. This is a highly commercial and tourism dependent area and remains to be one of the most dynamic places in Toronto. Markham is famous for its huge Pacific mall which is the largest in North America. It is also a favorite hub for the younger Chinese immigrants. 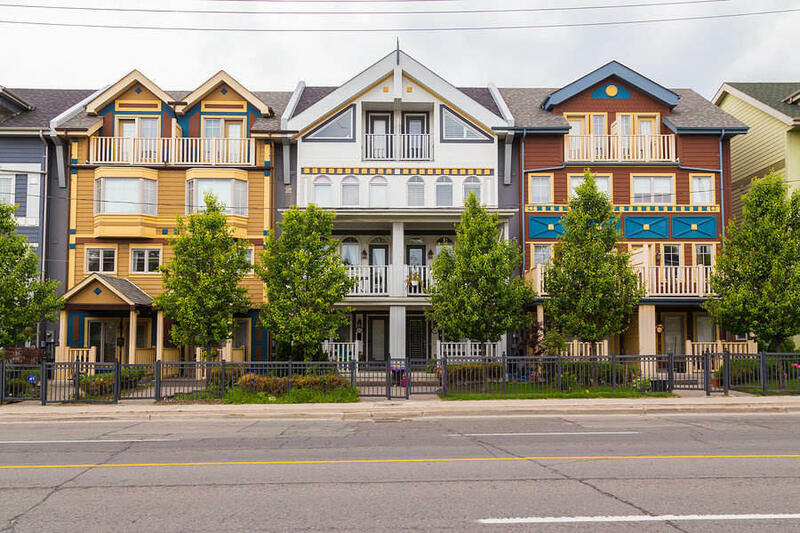 It is one of the most diverse neighborhoods in Canada with a big mixture of South Asian and black ethnic groups. This is a family-oriented and peaceful community with lots of green spaces and high-performing schools. This suburban neighborhood also has a large Chinese population and is said to be a city within a city. It has everything a family could ever need – large malls, green spaces, great schools, and community centres. People here live family-oriented lifestyles and attracts many students due to its proximity to universities in the area. This historic downtown area is a cross between Italian and Portuguese communities who set roots here many decades past. You’ll see a plethora of traditional trattorias, night spots, and quaint cafes between Euclid Avenue and College. A number of modern businesses and restaurants have also entered the area but Little Italy is still Italian at heart. This trendy neighborhood is a treasure trove of restaurants, bars, and vintage shops. Ossington’s stretch of road between Dundas and Queen is a popular dining and drinking destination. This neighborhood is home to the city’s LBGT community and is also goes by the names “Village” and “Gay Village”. It is also a vibrant mix of clothing stores, cafes, and restaurants. It is also the venue for Pride Week, a huge summer festival. This neighborhood is quite unique and has a diverse mixture of clothing stores, Latin American grocers, cafes, watering holes, and fresh produce. It hosts many festivals in the summer months and in December, particularly the Festival of Lights. Previously known as a poor neighborhood, it is now a very popular residential enclave with many Victorian homes. It is a friendly community and has the best cafes. It is near Riverdale Park and Farmer’s Market and Riverdale Farm. It used to be a suburb of Toronto. Residences here range from huge mansions to low income high rise buildings. 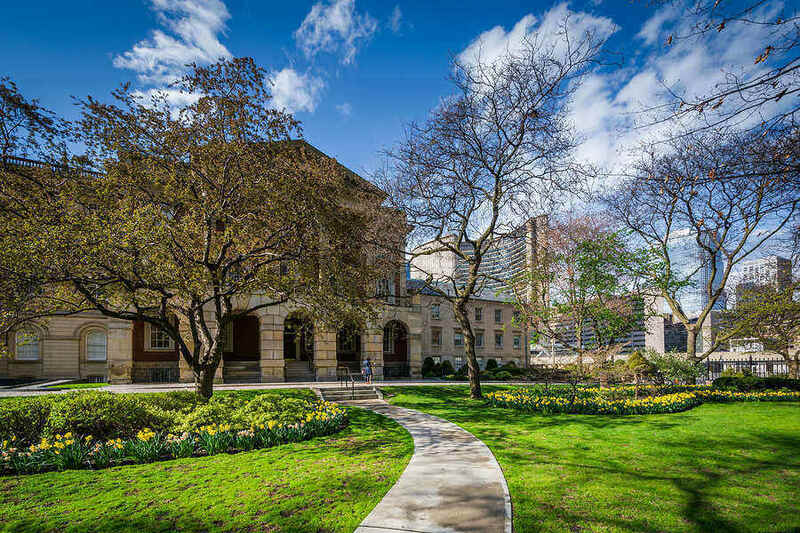 Considered a jewel in Toronto, this neighborhood has lush green spaces and old architecture. Here can also be found the High Park Zoo. It is popular with young families and has many low rise apartment buildings. It is has a High Park Labyrinth which is open to all the whole year through. The Beaches is east of the sandy shores of Lake Ontario and has charming dining and shopping spots. It is a place for doing beach volleyball or strolling along the boardwalk. There are actually 4 beaches in this area and the water is safe for swimming. There are many clothing stores and cafes that stretch along Queen and local spots for whiling away the summer afternoons. You can take your pick of any of these neighborhoods, among others, as you are sure to find something unique and wonderful to live in. ARTS AND CULTURE – WHAT’S HAPPENING IN TORONTO? There are so many places to see and enjoy in Toronto. Not to be missed is the CN Tower, the second tallest edifice in the world that has become an icon in the Toronto Skyline. There are also an abundance of art and design galleries, museums, and theatre, comedy, and sports. 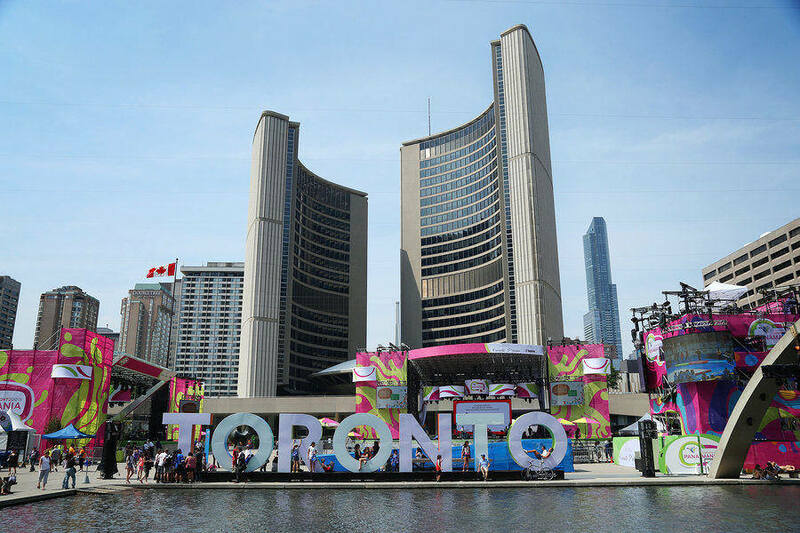 Toronto also hosts a multitude of exciting cultural events and festivals each year. In July, the Toronto Caribbean Carnival gathers an explosive mix of music, cuisine and performing arts that is the largest cultural festival in North America. 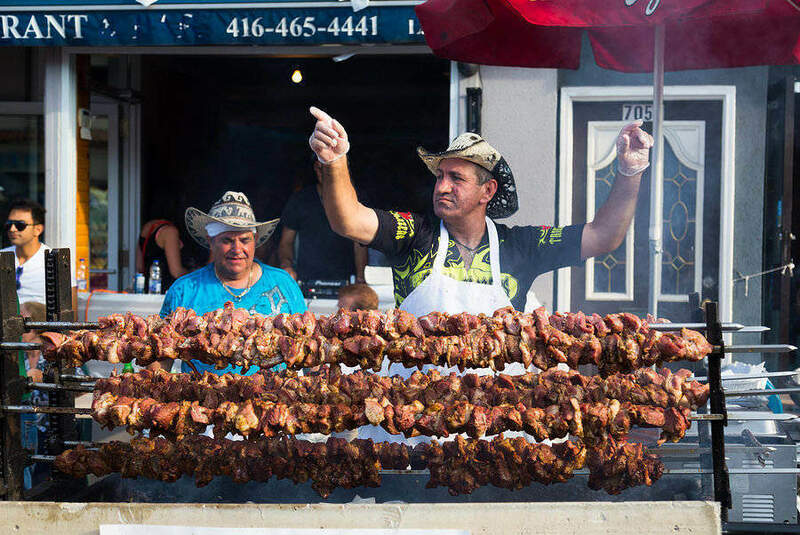 The month of August is Danforth Festival featuring delectable cuisine of local restaurants with Greek music and overflowing food. During the warm summer months, Toronto comes alive with outdoor food festivals throughout the city. Culinary delights amaze residents and tourists alike. In September, The Toronto International Buskerfest features street performers to dazzle audiences with comedy and non-stop entertainment. Magicians, contortionists, fire jugglers, clowns and other artists deliver the largest street performer festival in all of North America. Not to be forgotten is the enormously popular Toronto Film Festival that screens over 300 films from all over the world. 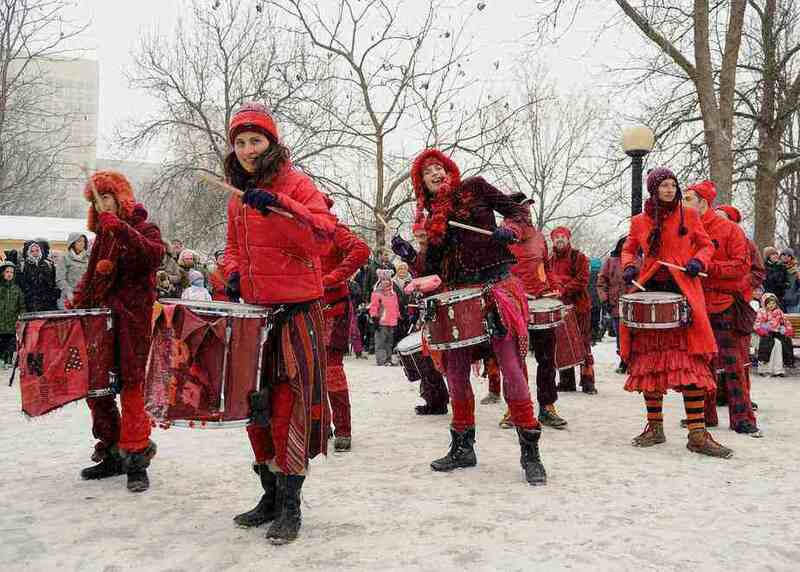 Come mid-November, the much awaited and televised Santa Claus Parade attracts more than half a million live spectators. There is so much to see and experience when living in Toronto. Very few people ever regret moving here as the city is really all about living the good life. Do you wish to move to Toronto to pursue higher education? There are 5 public universities in Toronto, some highly respected in the world. In addition, 11 private religious universities can also be found in the GTA. Toronto is home to some of the world’s top universities. With is rich history, exciting activities and communities, and beautiful scenery, the city of Toronto is definitely one of the best places to study for local and international students. We hope you have seen the best of Toronto and why it is considered a top moving destination in Canada. If we have whetted your appetite, do check out our Complete Checklist for Moving in Toronto to find out more. Are you looking for a city that has it all but not so huge or overwhelming? You might wish to consider Mississauga, Ontario. The City of Mississauga is Canada’s 6th biggest city and is located in Southern Ontario. It belongs to the Regional Municipality of Peel in the Greater Toronto Area. It has a total population of over 700,000. It was originally a suburb of Toronto but it has attracted a huge multicultural population as well as a rapid commercial development due to its proximity to Canada’s Financial Hub. 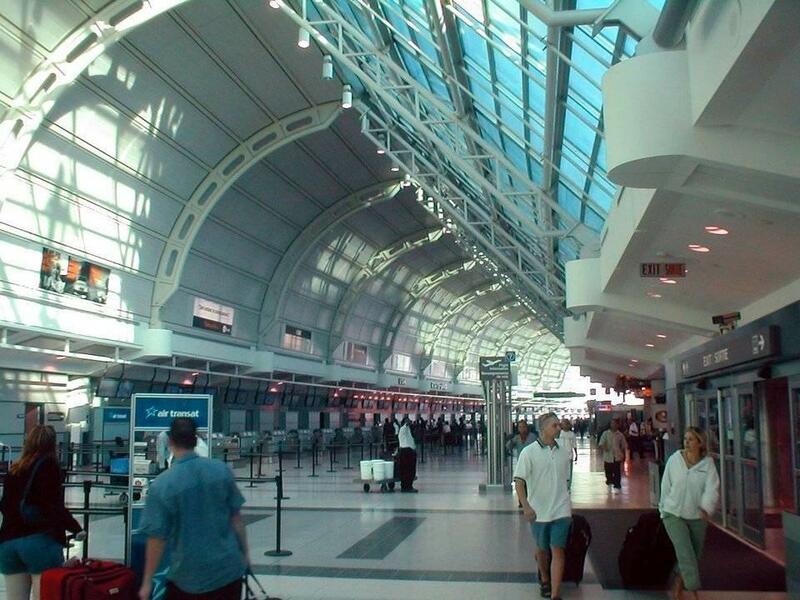 Canada’s busiest airport, the Toronto Pearson International Airport, is located in Mississauga as well as many major corporations in the country. Oakville and Milton are to its west and southwest while Brampton is north and Toronto, east. Thus, you can see the great geographical advantage it offers to residents. While its climate is classified as moderate, it does have a humid continental climate. Its summers have high temperatures with high humidity and winter temperatures falling -20 degrees C.
As a rapidly growing multi-cultural city, over 52% of its residents speak a language other than English. More than 60 companies belonging to Fortune 500 list have their global or Canadian headquarters in Mississauga. These companies are from the banking, electronics, transportation parts and equipment, pharmaceuticals, and aerospace industries. Some of the biggest companies operating in the city include Citibank Canada, Microsoft Canada, Hewlett Packard, Laura Secord Chocolates, Air Georgian, Kam Air, Royal Bank of Canada, Walmart Canada, Target Canada, Kelloggs, and Honeywell Aerospace, among others. Wondering how you will get around the city or if you need to own a car? 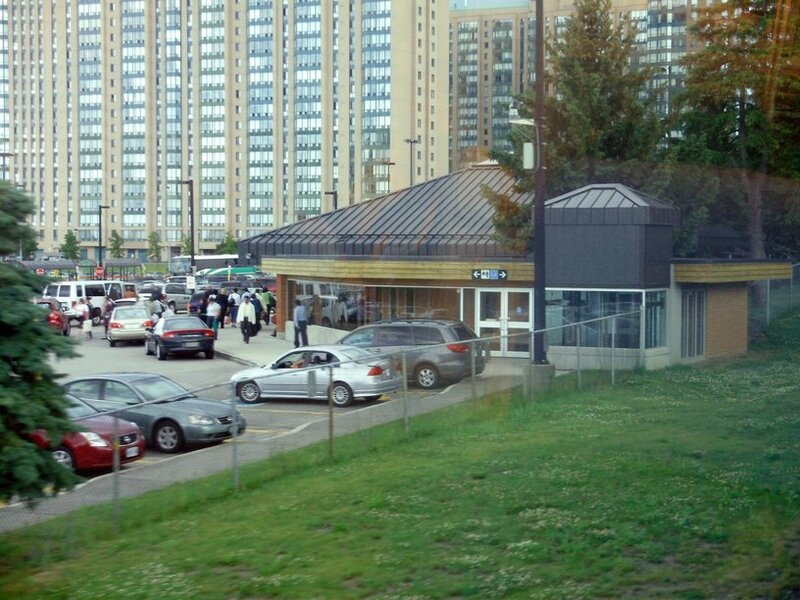 Mississauga has an efficient public transport system including rail, bus, commuter rail, and transitway. The commuter rail serves commuters travelling to the Toronto Union Station. The bus service also connects the city to nearby Toronto, Oakville and Brampton. What’s happening in the city? 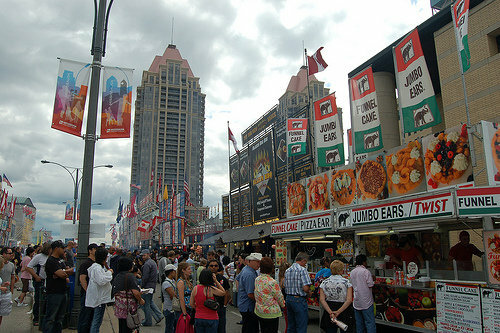 The city has large festivities annually such as Canada Day celebrations, New Year’s Eve, Mississauga Rotary Ribfest, and Lighting ceremony. A highly anticipated event is Carassauga which occurs in mid-May and is the 2nd largest festival in the country. It displays different world cultures with pavilions from different countries to showcase global cuisine, products, dance performances, and more. Throughout the year, other festivals occur in Celebration square such as Independence Day celebration for the Philippines, Summerfest for Vietnam, and Mosaic Festival, a huge South Asian arts festival. The city is also proud of its shopping amenities including the largest shopping mall, Square One Shopping Centre. With more than 350 retail stores and services, it has more than 24 million visitors every year. It also has the country’s biggest enclosed outlet mall, Dixie Outlet Mall where many premium brands can be found at factory prices. The city of Mississauga is home to many renowned educational institutions including the University of Toronto-Mississauga. 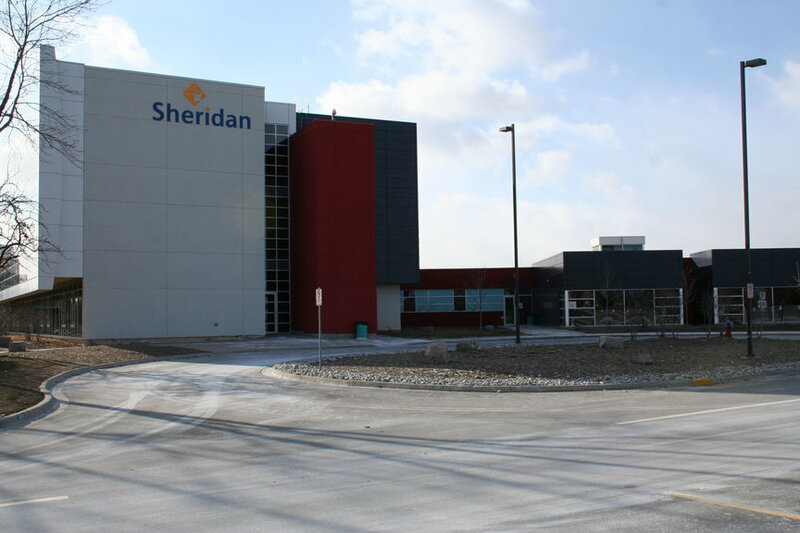 In 2011, Sheridan College opened a multi-million dollar facility concentrated on business education. The city also has secular English public schools operated by the Peel District School Board and Catholic Anglophone public schools managed by the Dufferin-Peel Catholic District School Board. In addition, there are also Catholic French schools and French public schools. All in all, 4 school boards manage over 150 public schools in Mississauga. As you can see, the city offers a lot of opportunities for pursuing a university education. It is, indeed, a highly attractive venue for higher education. The average price for a home is a good indicator of price trends. In Mississauga, real estate prices have been climbing steadily and sits at about $548,816. While still high, it is much lower than Toronto or Ottawa. Meanwhile, apartment style condominiums average at a little less than $300,000. This Mississauga neighborhood is on the mouth of the Credit River. It has around 10,000 residents and is a heritage conservation district. The harbor is popular for recreational boating. It is fondly called Village on the Lake and also hosts many events and festivals such as the Waterfront Festival in June. It attracts thousands of visitors annually due to its beautiful landscape and unique small town in a large city appeal. This is a planned community west of downtown Toronto and has residential, industrial, and commercial areas. It is densely populated with around 105,000 residents and still rapidly growing. Several creeks traverse the area and drain to Credit River and eventually Lake Ontario. While there are major employers in the area such as Honeywell Corporation, most residents commute to nearby cities for employment. This suburban residential area is in the southwest part of Mississauga. 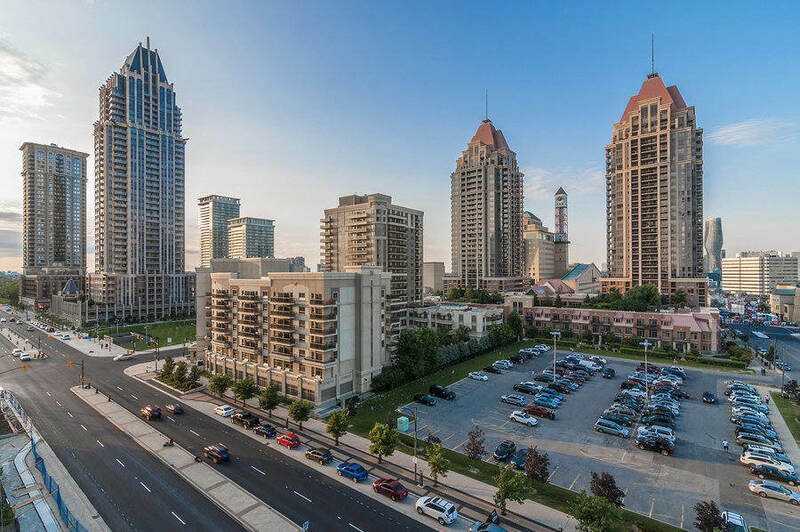 Even though it became part of the larger Mississauga city, it continues to have its distinctive charm that can be traced to its pioneer origins. This neighborhood is located in the northeast part of the city and has an estimated population of 36,500. It is a working class neighborhood that is home to people from many walks of life. What is unique about Malton is the fact that it does not adjoin another Mississauga neighborhood. To its north is Brampton, and south lies the Pearson International Airport while east is Highway 427 and Finch avenue that borders Toronto. This neighborhood is located in the intersection of Dundas and Hurontario streets. It is the primary transportation hub in Mississauga since GO Transit rail and bus and express city services use it as their terminal to Toronto Union Station. Residents of this neighborhood originate from all parts of the world and has an abundant display of South Asian, Arab, and Caribbean restaurants and retail shops. This neighborhood is located in the northwest part of Mississauga west of Toronto. It is near Credit River as well as two other lakes, Aquitane and Wabukayne. Its population is estimated at 105,000. Meadowvale Village is very near the largest business park and other major businesses, research facilities, and factories. 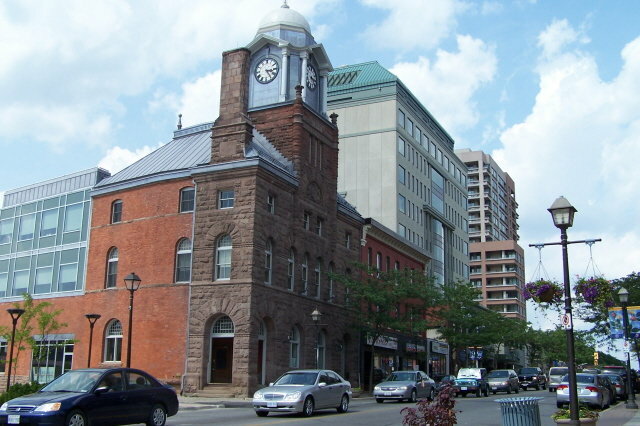 It has many historical buildings and was recognized as the first Heritage Conservation District of Ontario. Are you feeling excited about the possibility of moving to Mississauga? 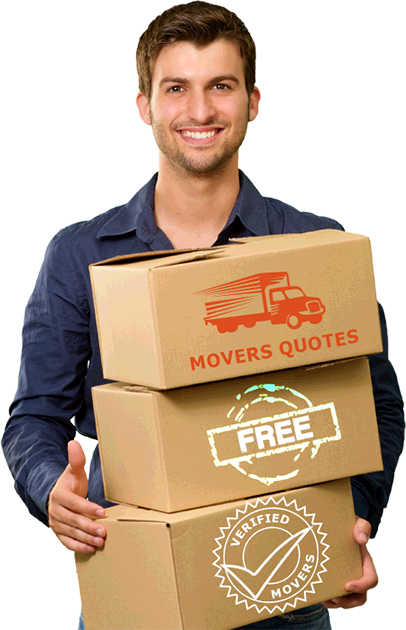 You can get an idea of your moving cost with our 5 free moving quotes. You can also get moving tips from Review of Mississauga Movers and Moving Companies in Mississauga. 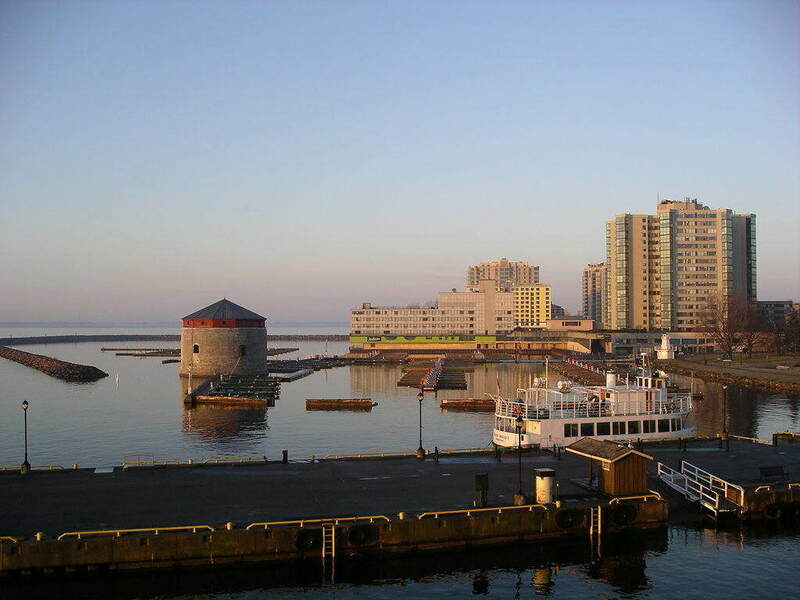 Why is Kingston, Ontario among the best cities to move to in Canada? It is a fabulous place to live in for various reasons. It offers convenient access to and from the city, making travel painless and economical. It has also become an educational hotspot and offers affordable housing options. It is the oldest city in Ontario. Located in the Frontenac Arch, the city is a fantastic place to live and work with some of Canada’s richest natural and cultural landscapes. 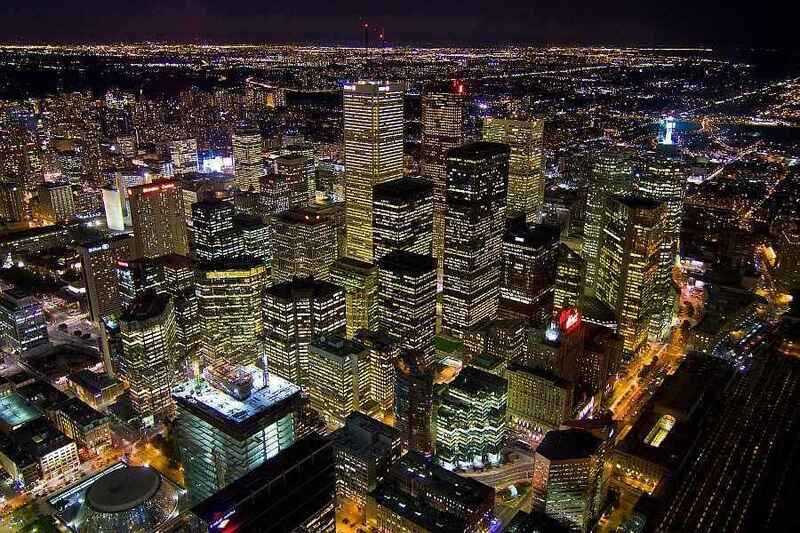 It also has the huge geographical advantage of being situated between two big cities – Toronto and Montreal. In southeastern Ontario, it has become Ontario’s hub for education, commerce, and health. As of 2011, Kingston had an estimated population of almost 160,000. Due to its unique offerings, the city is a highly desirable moving destination for families, retirees, and students. MoneySense magazine ranked it as 11th best place to live in Canada and 3rd best place to retire. English is the predominantly spoken language but it has bilingual federal and provincial government services and businesses. Asian, Greek, Latin, and Portuguese communities flourish in this city. 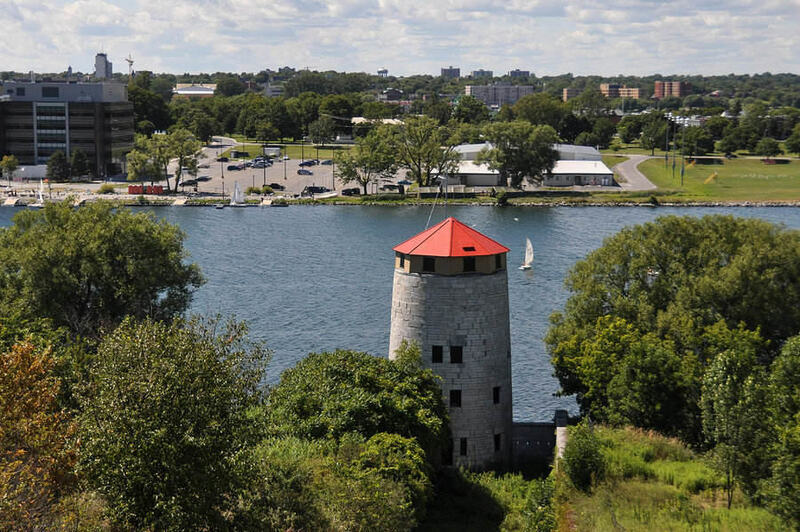 It also has a moderate climate with winter temperatures averaging from -8 degrees to -16 degrees C and summer temperatures averaging at 24 degrees C.
As a popular sailing destination, the city of Kingston attracts thousands of sailors and windsurfers from all parts of Canada. The city’s economy depends on public sector institutions and services such as those related to health care, education, and military and correctional services. Tourism and culture, manufacturing, trucking and logistics, and research development also play a significant role. Half of the city’s residents are also employed by the private sector. 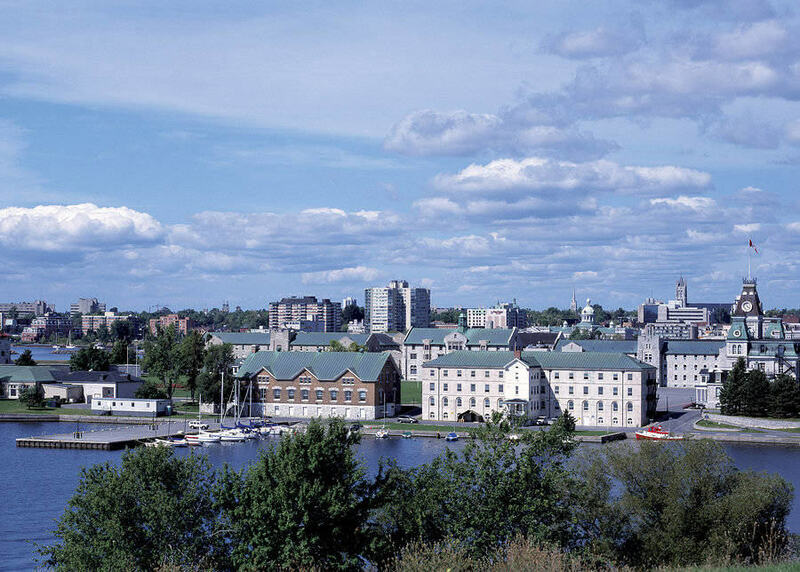 Among the city’s biggest employers are the Canadian Forces Base Kingston, Queen’s University, Correctional Services of Canada, the City of Kingston, Kingston General Hospital, Limestone District School Board, and Providence Care. The city of Kingston has excellent opportunities for higher education. Queen’s University is highly regarded as a top university with formidable faculties in medicine, law, science and business. 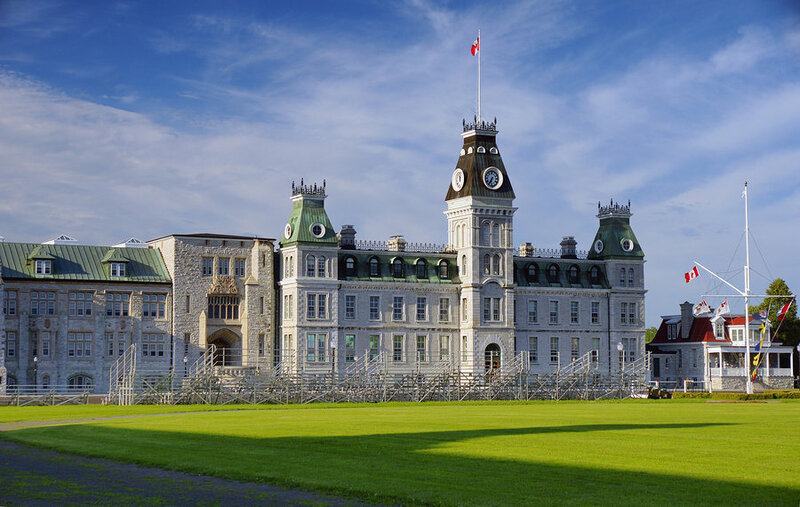 The Royal Military College offers high quality education for future officers. On the other hand, St. Lawrence College offers liberal arts and career oriented courses. What makes studying in Kingston so attractive to local and international students? Aside from the high reputation these institutions enjoy, there is also an abundance of recreational activities in the city. Golf, skiing, sailing, windsurfing, tennis, swimming, and extreme sports are readily available to help people keep active and healthy lifestyles. Did you know that Kingston is home to so many renowned writers and artists? You will find plenty of art galleries and theatres all year round. The City of Kingston is family oriented and promotes the development of comfortable and safe communities. While the city is proud of its historical homes, there are also many modern subdivisions featuring amenities that are comparable to bigger cities. Real estate prices continue to be favorable compared to other Canadian cities of its size and its relatively stable economy has ensured that the market is affordable. The average cost of a house in Kingston is $287,186, lower than Mississauga and many other cities. What are some of the city’s best neighborhoods? This very friendly neighborhood has easy access to downtown, schools and recreational facilities. Located near the Rideau Canal System and parks, residents can enjoy swimming, boating, and cycling. Despite its relative smallness, there is a high demand for houses in this community. It has the newest public elementary school in Kingston and a host of family oriented services and shops, including the Farmer’s Market for fresh produce. This upscale neighborhood has easy access to shopping, recreational facilities, and great schools. It is close to protected wetlands and has many newly-built homes. This is another upscale but small subdivision with executive and family homes. Nearby is a creek that prevents larger development of its natural environment. This neighborhood features many single-detached and semi-detached homes with easy access to good schools and a waterfront park. This is an enclave of modern and luxury detached and semi-detached homes. Nearby are retail stores and a retirement community. It is also near Lemoine Point Conservation Area. This community of single-detached family homes is ideal for young families. It is within walking distance to commercial establishments and an elementary school. 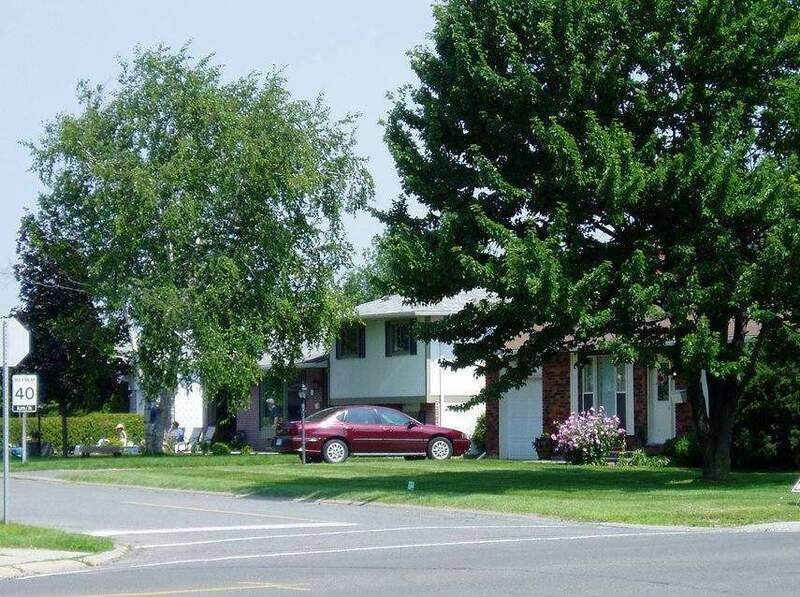 This neighborhood is situated between Front Road and Lake Ontario and features old bungalows and 2-storey houses. A quiet and serene neighborhood, it has several waterfront parks, a nearby skating arena, and a big commercial area, and schools. There are so many more ideal and amazing neighborhoods to consider when looking for a place to live in Kingston. 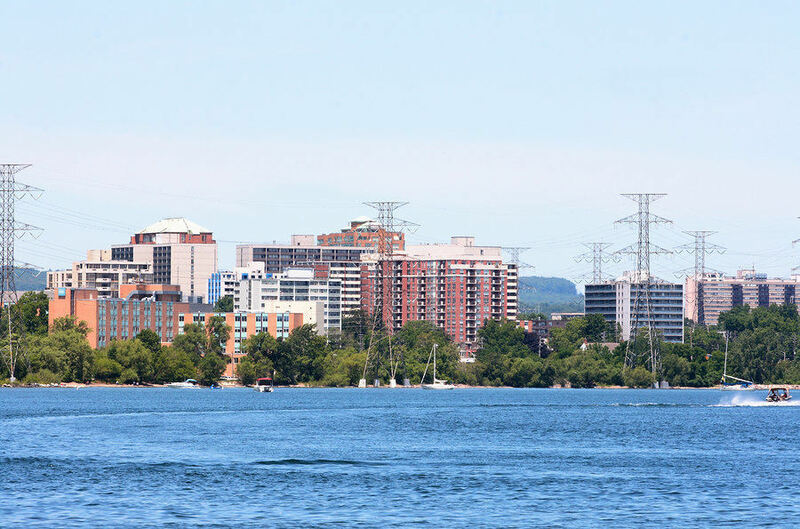 From upscale and executive homes to modern condominiums and single-family homes, people get more affordable housing options in Kingston than other cities in Ontario. Kingston is also an ideal place to live in for seniors and has many retirement homes and senior-oriented apartment buildings. Learn more about Relocating to Kingston and how much it could cost to move to this city with 5 free moving quotes. In 2016, MoneySense Magazine ranked Burlington 3rd overall among other locations in the Greater Toronto Area as best place to live in Canada. What makes Burlington such a great place to live in? The selection was based on household income, real estate prices, weather, healthcare, crime and employment. These are definitely very significant factors to consider when looking for a new city to move to. It also ranked high as a great city for raising a family. It was also included in the list of best places to enjoy retirement. The City of Burlington is located in the Halton Region at the end of Lake Ontario. As part of the Greater Toronto Area (GTA), it has the strategic advantage of being in the Golden Horseshoe, a highly industrialized region where more than 8 million people reside. There are many reasons why people find Burlington an attractive city to move in. First of all, it celebrates many cultural festivities including Canada’s Biggest Ribfest and the Sound of Music Festival. Due to its scenic nature, residents also enjoy healthy activities such as hiking and bird-watching. There are also many sailing vessels in this area that are for recreational purposes. It shares a temperate climate that predominates in Southern Ontario, with moderate winter temperatures. The city’s population is close to 176,000. English is the major language spoken by residents followed by French. The strength of Burlington’s economy comes from its diverse economic base mostly because of its proximity to large industries in Southern Ontario and its geography. It is significantly active in automotive and manufacturing sectors. There is no employer or industry sector dominating the city’s economy, which is proof of its diversity. However, its leading sectors include food processing, electronics, transportation, pharmaceutical, packaging, and environmental. From a quiet bedroom community, Burlington has transformed itself as a vibrant waterfront city offering a high quality of life with unbeatable parkland, festivals and nightlife, shopping, employment, education and recreational facilities. Average price of a home in Burlington is $501,000, more expensive than Kingston but definitely cheaper than Ottawa and Toronto. The average household income in Burlington is higher than the provincial average while its unemployment rate is low compared to Ontario average. There are plenty of opportunities for higher education in Burlington. The McMaster University DeGroote School of Business is offering MBA and Executive Management Programs. Charles Sturt University, an Australian University, also has a study centre in the city offering master’s programs in Business and International Education. In addition, the Canadian Therapeutic College and Oxford College of Arts, Business and Technology offer high quality career education. 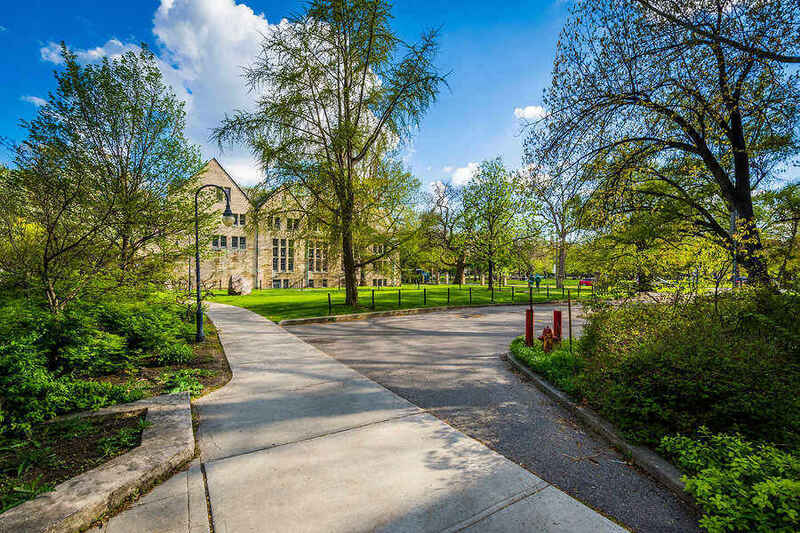 Studying in Burlington has many significant advantages starting with plenty of student housing or accommodations, high standards of education, a natural environment conducive to learning, and an active and fun community life. If you are thinking about moving to a new city, you would definitely want to know about moving costs to Burlington. Relocating to a new city requires careful consideration and planning. Learn more about relocating with Best Moving Advice to Burlington. 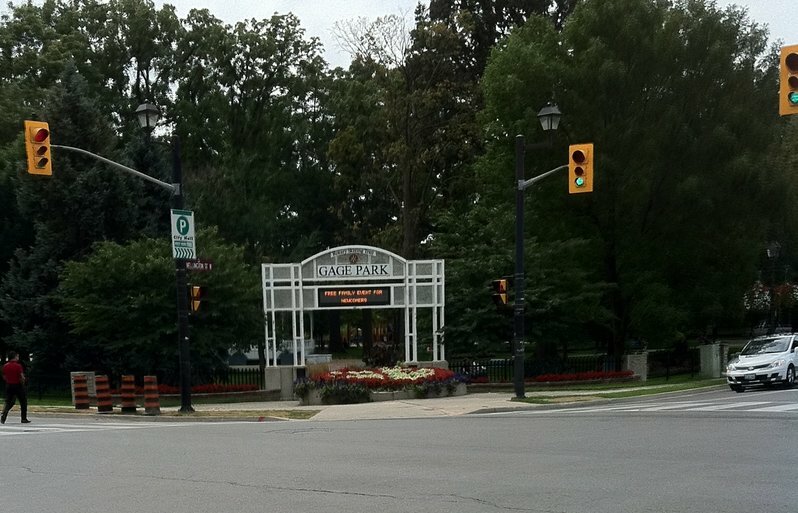 Markham, situated in the Regional Municipality of York, is still part of the Greater Toronto Area in Southern Ontario. As of 2015, it had an estimated population of 342,000, making it the 4th largest municipality in the region and within the GTA. It is also Canada’s 16th biggest city. Markham borders Toronto and has the same climate as its big neighbor although its temperatures are generally cooler than downtown Toronto. Its humid continental climate means humid summers with a lot of rainfall between May to October and snowy and cold winter temperatures. Majority of residents speak English with a small minority that speaks French. Other languages are spoken by minority groups including Chinese, Hindi, Persian, Italian, and Filipino, with more than half of the population with a native language that is neither French nor English. The city is ethnically diverse and welcoming. 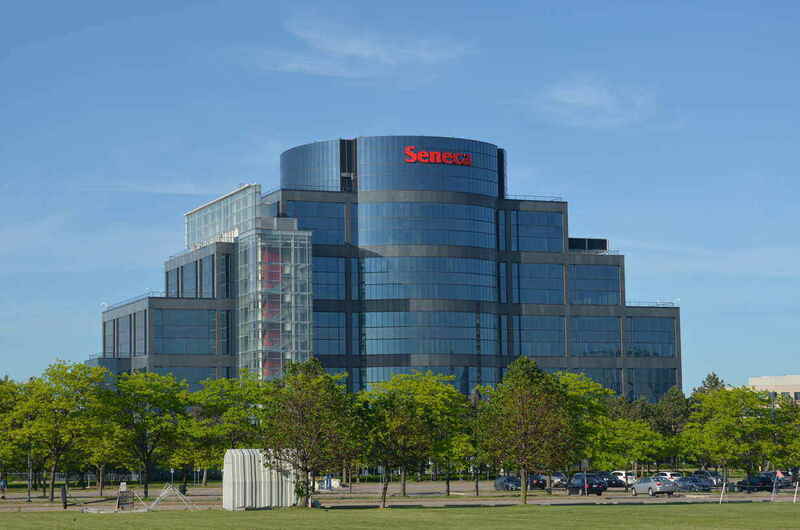 Although there is no university in Markham, Seneca College has several campuses in the area. Beginning in 2020, York University-Markham Centre will be offering a wide range of degree programs. Most of its residents are employed by business services. Today, it is considered to be Canada’s Hi-Tech Capital. There are over 1,100 technology and life sciences companies led by IBM as the city’s biggest employer. There are also many multinational companies headquartered in the city including Honda Canada, Oracle, Toyota Financial Services, Johnson & Johnson, American Express, and Honeywell, among others. There are many reasons why Markham is considered quite a catch when it comes to moving destinations. It offers many amenities available to a big city but has retained its old-fashioned charm evidenced by antique shops, quaint main street villages, and heritage buildings. The city also boasts of several attractions including Markham Museum, Cathedral of Transfiguration, Reesor Farm Market, and heritage districts in Thornhill, Unionville and Markham Village. The city has distinct neighborhoods and 19th century communities. It also has award-winning communities such as Swan Lake, Cornell Subdivision, and Angus Glen, among others. Looking for a smaller city with all the amenities you could want for high quality of life? Consider moving to Markham and enjoy its economic and cultural advantages that are hard to find in cities of the same size. Get an idea about moving to Markham and how to plan your move with this Guide to moving to Markham and moving companies in Markham. For those looking for a city in Ontario to move to, Brampton in the Greater Toronto Area in Southern Ontario is a great choice. As part of the Peel Region, it has a geographical advantage, being very close to other flourishing cities and benefitting economically from the highly industrialized area of the Golden Horseshoe. The city was voted among the Top 10 Mid-Sized American Cities of the Future by the UK Financial Times. It is a lucrative place for doing business for investors looking to invest in the region. 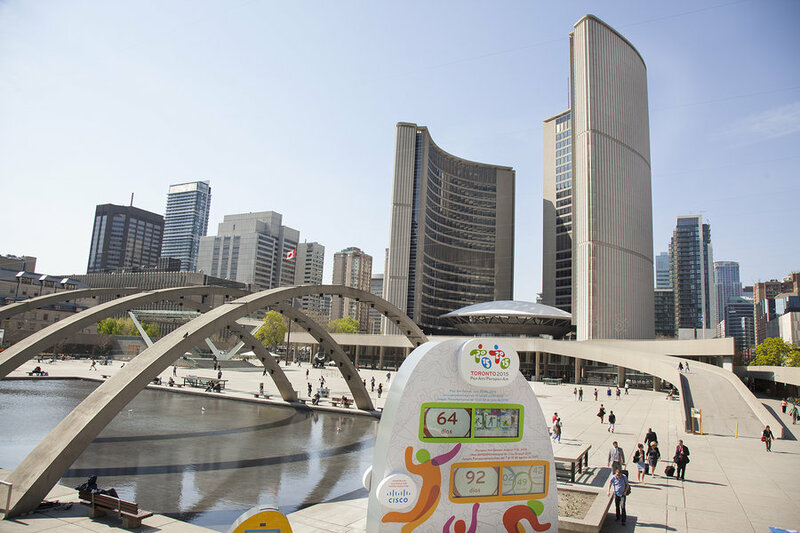 The city’s estimated population is 524,000, making it Canada’s 9th most populated city. It is also the 3rd largest city in the GTA with median age of 33. This means it has a significantly young population. It was once called the Flower Town of Canada because it had a huge greenhouse industry. However, the city has evolved over the years and shifted to manufacturing, retail, life sciences, information and communication technologies, food and beverage, and logistics. The city is bordered by Vaughan to the east, Halton Hills to the west, Caledon to the north, and Mississauga to the south. Because of Toronto’s rising costs in real estate and taxes, many people have found Brampton to be a more attractive place of residence. Businesses have also found it beneficial to move here because of its proximity to Pearson International Airport, good road infrastructure, lower cost of land, favorable taxes, and population growth. Majority of residents speak English as a mother tongue with smaller minority groups such as Urdu, Punjabi, Filipino, Portuguese, and Gujarati. There are many companies headquartered in Brampton such as Loblaw Companies Ltd., Rogers Communications, Chrysler Canada-Brampton Plant, Maple Lodge Farms, and Coca Cola Bottling Company. Some international companies are also present in the city including Bacardi, Clorox, and Brita, Nestle, and Frito Lay Canada. The Canadian Forces Army Reserve unit is also located here. Another big employer in the city is the Brampton Assembly of Chrysler with more than 4,200 workers. How can you get around in the city? Brampton Transit provides local transit connected with the Mississauga Transit, York Region Transit, GO Transit and Toronto Transit Commission. There are also 3 GO Train stations in Brampton. This means easy access and commute in and out of the city. 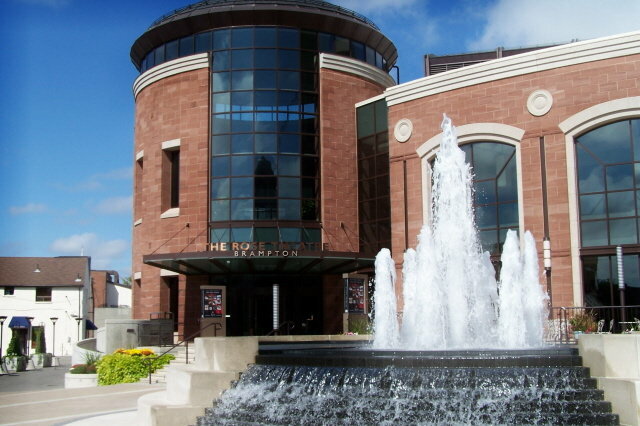 The city has various cultural activities managed by the Brampton Arts Council. The Rose Theatre is a venue for performing arts which attracts thousands of patrons annually. 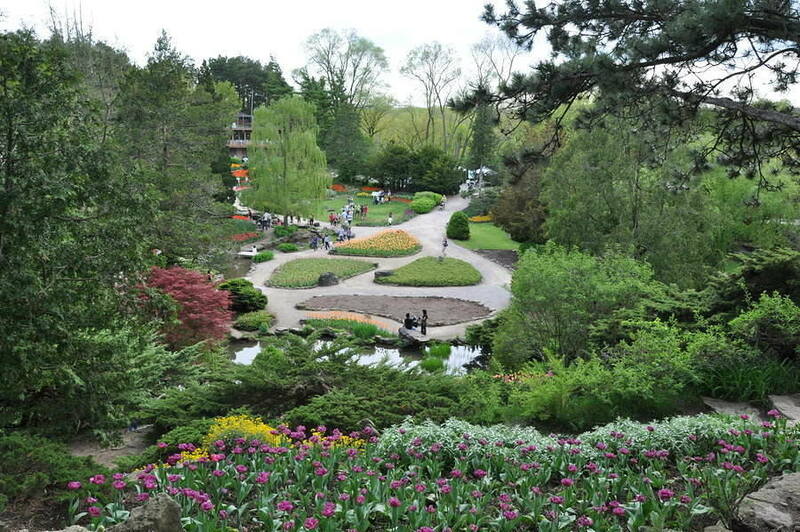 Some of the other sites of interest include Gage Park, Chinguacousy Park, Wild Water Kingdom, Great War Flying Museum, and various shopping malls and retail outlets. The city is also home to the Brampton Beast (hockey professional). There are other sports activities such as outdoor ice skating, tennis, and softball. 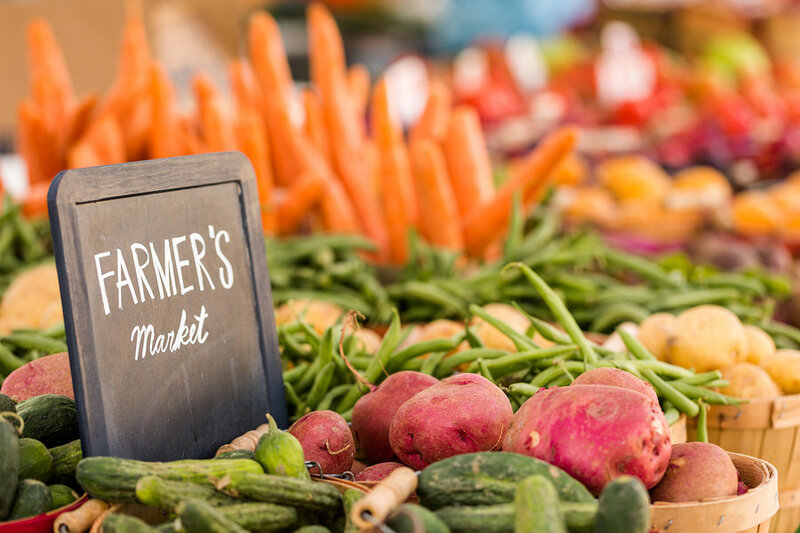 Brampton is also proud of its two farmers’ markets where top quality and farm fresh produce are available. Both venues have weekly entertained throughout the season to give shoppers a fun experience. In June each year, the city also has the CeleBRAMPTON and Flower Festival Parade which is attended by tens of thousands of people. Are you looking to study in Ontario? Sheridan College is the city’s one and only publicly-funded higher education institution. The local campus is concentrated on business training. The college has another campus in Oakville which is the second largest school for Art and Design in North America. Other universities close to Brampton include University of Toronto-Mississauga and York University. If you are thinking of your children’s education, there are secular Anglophone public schools and Catholic Anglophone public schools in the city. In total, there are 85 elementary and middle schools and 44 Catholic elementary and middle schools serving the city. In addition, secular and Catholic francophone schools also operate in the city. Still unsure where to move to in Ontario? Consider Moving to Brampton to take advantage of this city’s economy, culture, and wonderful communities. Just half an hour away from downtown Toronto and an hour to Niagara Falls and the US border, the city of Oakville ranked # 3 in MoneySense Magazine’s best places to live in Canada for 2016. It moved to #3 from being #6 in 2015. Wondering why this medium-sized city beat so many other cities in the country? 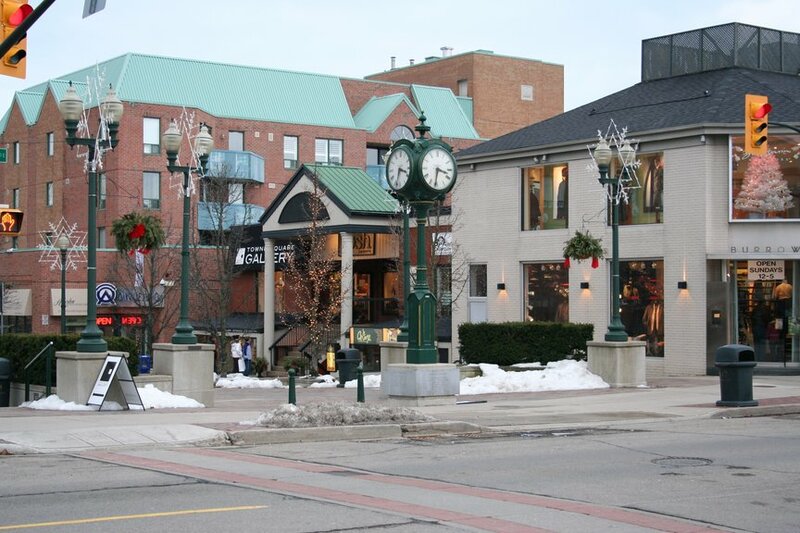 This suburban town located in Southern Ontario is in the Halton region and a member of the Greater Toronto Area. It has an estimated population of 202,299. In its 2006 census, Oakville had a population younger than that of the whole country. Minors accounted for 28% of residents while the number of elderly people and pensioners was 11.7%. Almost 70% of Oakville residents are native English speakers with a smaller minority for French native speakers. Unlike other Ontario cities, minority groups in the city are much smaller such as Polish, Italian, Spanish, and Portuguese. You may be surprised to know that the median household income is $108,475, high enough to compare with bigger cities like Ottawa and Ontario. There are various major employers in Oakville. Tim Hortons and Mattamy Homes are in Oakville as well as Ford’s Canadian office and Siemens. Majority of residents work in advanced manufacturing in big facilities managed by General Electric and UTC Aerospace Systems. Due to its membership with the Greater Toronto Area, it is quite common for people in the city to travel to Toronto daily to work. This lakeside city has become a very appealing residential and business location. It has more than 2,000 acres of parks with numerous trails for hiking. Its two picturesque harbours have docks and slips for powerboats and sails that attract many boaters. Commuting from Oakville is convenient with its passenger rail service to downtown Toronto. Commuter GO Trains depart the city continuously to Union Station during peak times. Passengers travelling by rail can take the Amtrak rail service from Toronto to go to the United States. The city hosts many events to dazzle locals and tourists. Starting with the Downtown Oakville Jazz Festival, this annual event includes performances downtown that is free for everyone. Since 1982, the Oakville Waterfront Festival takes place in June with an annual attendance of 100,000 visitors. The festival has amusement rides, firework displays, food and drinks, and free concerts by Canadian bands. Midnight Madness is a yearly street festival that takes place in July and offers local vendors to show off their products along with local artists who perform in street stages. The city also has its very own Oakville Family Ribfest hosted by Sheridan College and managed by the Rotary Club of Oakville. Professional rib grillers and other food vendors are featured in the festival for everyone to enjoy with live music and other activities. 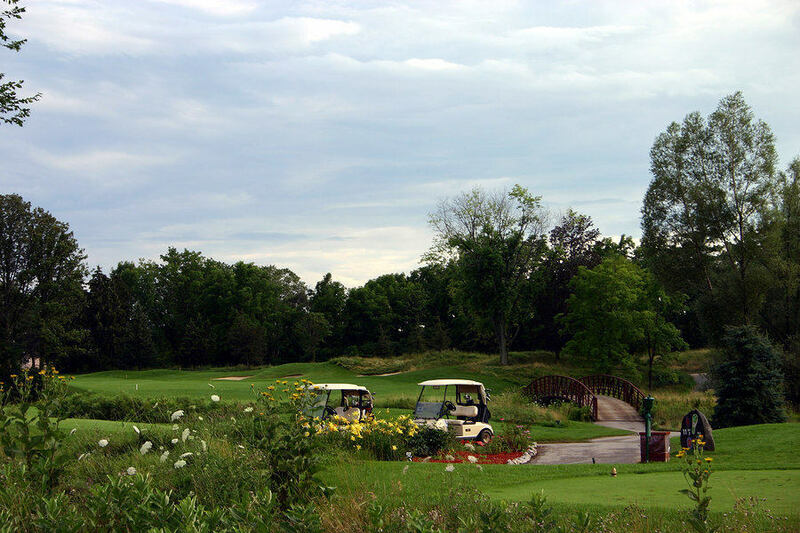 When it comes to sports, the city is proud of Glen Abbey Golf Course which has been the site of many Canadian Open professional golf events. It is but one of 7 golf courses in the city. It is also renowned for its Burloak Canoe Club and represented in the fields of basketball, rugby, lacrosse, and soccer. 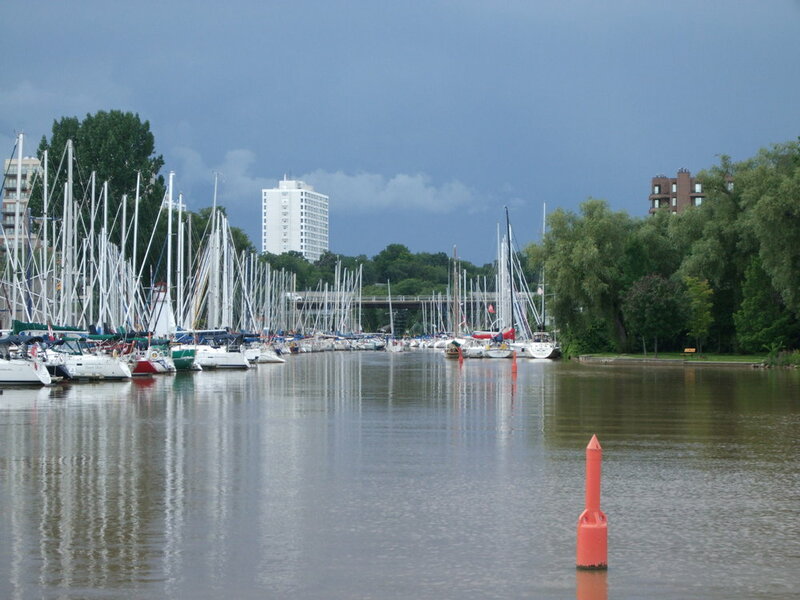 The city has two harbours – Oakville Harbour on Sixteen Mile Creek near downtown and Bronte Harbour on Bronte Creek. These harbours are open for recreational purposes. Slips and mooring docks can be rented on seasonal basis while launching ramps are also made available for transients. Schools in Oakville are a mixture of public and private schools and has one of the highest ratios of private schools to student population in Canada. Appleby College is a private school for grades 7-12. St. Mildred’s Lightbourn School is an exclusive school for girls. Sheridan College is the sole higher education institution in the city and offers animation and business courses. Excited to move to Oakville? If you are considering a move to Oakville, you can also learn about moving tips and relocation cost from your location with 5 free moving quotes. 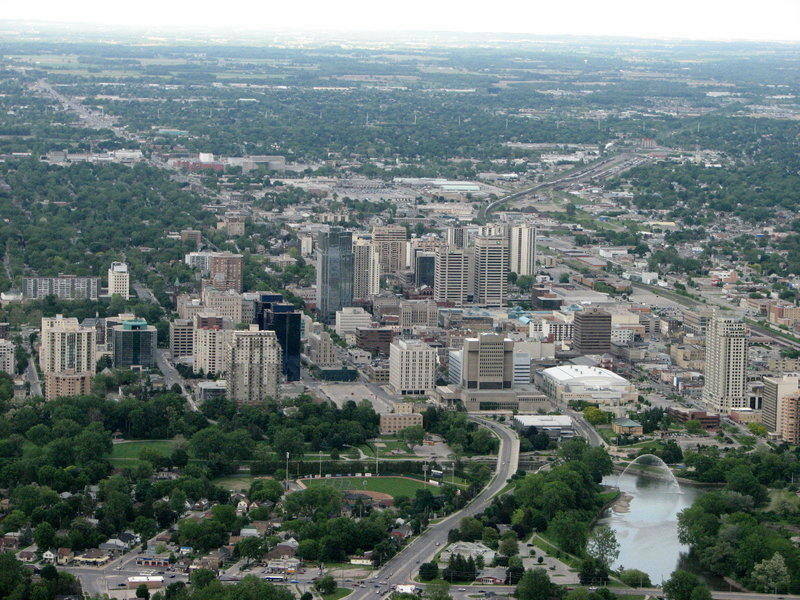 Why are thousands of people attracted to moving to London, Ontario? Despite having a very famous namesake in the UK, London is one of Canada’s best cities. It is a city surrounded by the Great Lakes and situated between the east and Midwest regions of Canada and the United States. As such, it is considered an excellent location for business and offers residents the unique opportunity to live locally and work globally. With it being just an hour away to the US border, many international and national industries have made the city of London their Canadian headquarters. The city is also a regional centre for education and health care. It is the location of the University of Western Ontario and Fanshawe College. Both schools attract scholars from all over the world and offer a wide array of programmes in business, medicine, law, and engineering that set standards for high quality education in the country. A significant number of students come to the city to study, greatly increasing the population year by year. More than 50,000 students arrive on a regular basis to attend the city’s 2 famous universities. In addition, there are about 20 private schools in the city and English and French public and Catholic schools. London Central Secondary school is the highest ranking academic school in the province of Ontario. It is also the home of various high quality hospitals. Its economy is driven by education, insurance, information technology, and medical research. Among its biggest employers are the universities and hospitals in the area. Due to its location, the city experiences huge contrasts in its seasons. Its summers are hot and humid. It sometimes has thunderstorms and occasional tornadoes. Its springs and autumns are short and winters cold. Snowfall is heavy and winter temperatures can dip to -32 degrees C.
Londoners number around 509,605. Average household income is at $69,931. And while this is lower than the median household income in other cities like Kingston and Oakville, the cost of housing is much lower. The average real estate cost in the city is $298,215, well below real estate prices in other Ontario cities. The city’s public transit system has 38 bus routes so it is fairly easy to get around the city. Bus service is the only public transport mode available in London at the moment but it does have taxis and limousines for hire. It is, indeed, a great place to settle in. It is considered a safe place for raising children and there is not a lot of crime. The city of London is fondly called the “Forest City. You may be surprised that the similarities between this Ontario City and its famous UK counterpart don’t stop at the name London. It also has its own Thames River, and one of its main streets is also called Oxford. They also have a Covent Garden. Yes, not very original, but there are many things to be happy about living here. 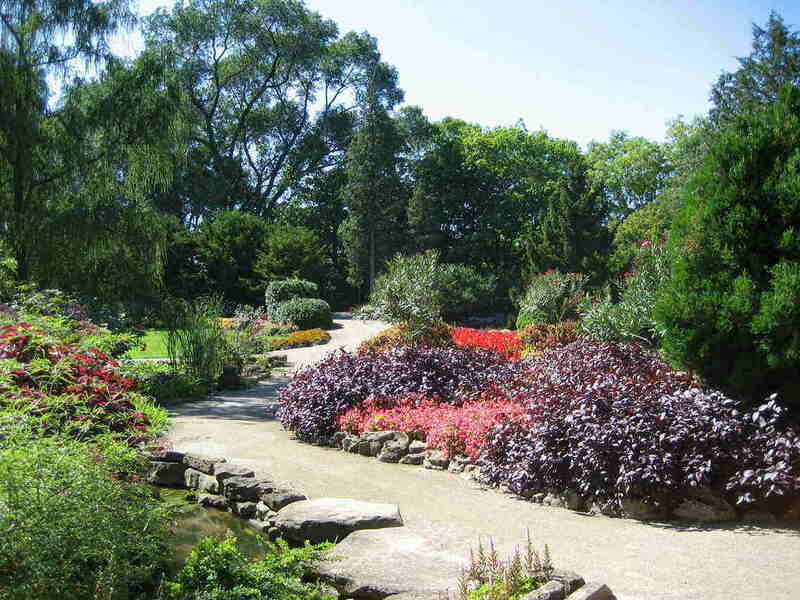 The city’s natural parkland is one of the best in Southern Ontario. It has more than 200 natural parks and the city actively promotes cycling as a healthy way of getting around the city. London, ON is home to various festivals such as the Home County Folk Festival, the Sunfest, London Ontario Live Arts Festival, and the International Food Festival. Sunfest is a World Music Festival, the 2nd biggest in Canada and pretty popular as a summer event to look forward to. Its rib-festival featuring local chefs barbecuing ribs outdoors is the 2nd largest ribfest in North America. When it comes to music, the city has much to offer. It is the home of Orchestra London, the London Youth Symphony, and many music pioneers. It has also many museums featuring local, regional, and even national artists. 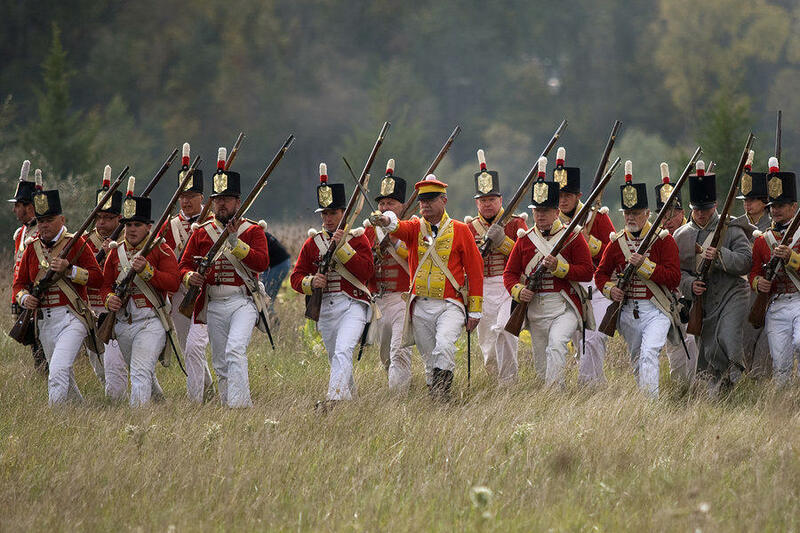 One of the most unique attractions of London is the Fanshawe Pioneer Village, an open air museum using historical re-enactments to promote the historical roots of London and its nearby communities. Many visitors flock here in summer and winter and a number of hotels and restaurants have sprung up around it. Perhaps the only thing the city lacks is professional sports. The city doesn’t have a major pro sports team so sports fans will have to head to Detroit or Toronto for some real sports action. If you plan on coming to London with a young family, you will love the neighborhood districts the city has to offer. For instance, White Oak Tree is proud of its tree-lined streets and artistic communities. It also has the Soho District which is in a very central location but still affordable. You want to live in London, Ontario? Whether you wish to study or live and work here, you will need to start planning your relocation to ensure everything goes smoothly. The cost of relocating to London from where you are at the moment will be one of your primary considerations. Fortunately, once you have made up your mind to move anywhere in Ontario, you can count on professional and experienced moving companies to offer you moving tips and moving services to ease the burden of moving. Check out our Moving to London Guide to benefit from moving tips, useful resources for schools and employment, and a review of reliable London moving companies. Last but not the least in our list of Top 10 Best Cities to Move to in Ontario is the City of Hamilton. Located in Southern Ontario, it is home to 555,841 residents. It is a large city and has been transformed into a densely populated and highly industrialized region at Lake Ontario’s west end called the Golden Horseshoe. This metropolis is Canada’s 9th biggest population and the 3rd in the province of Ontario. It is midway between Buffalo, New York and Toronto. 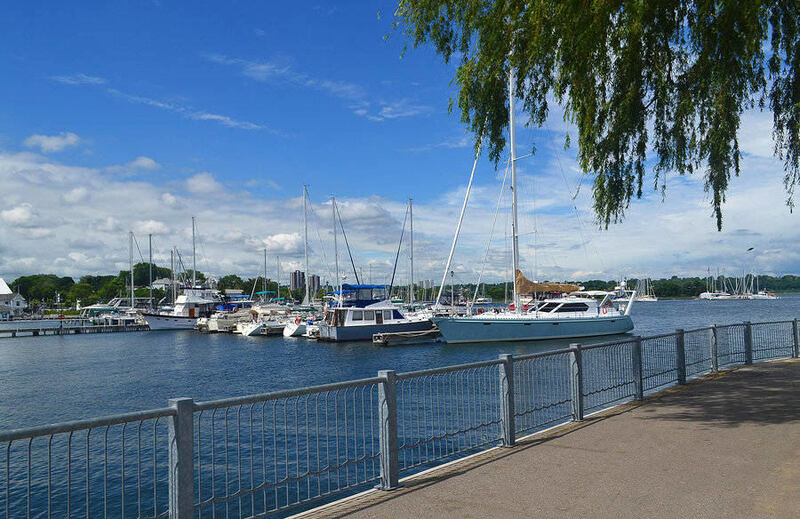 The Hamilton Harbour marks its northern limits while the Niagara Escarpment runs through the city’s middle and across its entire area, effectively dividing the city into its lower and upper parts. More than 4500 hectares of parkland are managed and leased by the Hamilton Conservation Authority. 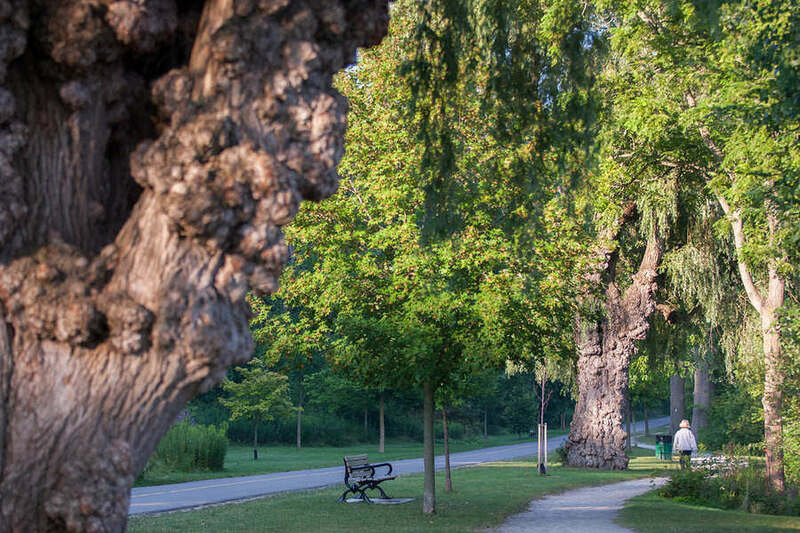 Mostly located along the Niagara Escarpment, these parks provide breath-taking views of the cities and towns in Lake Ontario’s west end. It also has more than 100 waterfalls and cascades mostly located along Bruce Trail. Why is Hamilton a great city to live in? Aside from its natural beauty, the city also has a flourishing economy. The most important sectors of economic activity in the province is manufacturing and the region of Toronto-Hamilton is one of the most industrialized. Hamilton was ranked as the 3rd best location in English Canada to do business by the Canadian Business Magazine. It was also ranked 7th among 40 cities in the country. More than 60% of Canada’s steel is produced in this city, earning it the name Canada’s Steel Capital. It is also ranked in the top 10 places in Ontario to invest in real estate. Over the years, the city’s economy has diversified from steel manufacturing to include education and construction. The scientific and technical sector has also grown by leaps and bounds. As part of the Golden Horseshoe, it is also benefitting from the regional initiative to transform the area into an economically powerful area in the fields of research, technology, and investment. One of its biggest employers is the Hamilton Health Sciences employing more than 11,000 workers. This is a group of 7 hospitals, including a cancer centre, serving central south and central west Ontario. Hamilton is also one of few Ontario cities with a large French population. Bilingual provincial services are available in the city and statistics show that the Francophone community continues to increase. The Hamilton Port Authority is also the busiest port in all of Canada’s Great Lakes and puts the city in the center of domestic and international cargo from countries like Russia, Brazil, Malaysia, and the Philippines. The city strives to make itself highly competitive in terms of education. McMaster University is currently its 6th biggest employer and is a partner to 6 hospitals in the city. Its student population is well over 27,000 with majority of students coming from outside of Hamilton. It specializes in medical programmes and business. There are other higher education institutions in the city including Mohawk College, Redeemer University College, Brock University, McMaster Divinity College, and College Boréal, the only French language college in Southwestern Ontario. It also has the largest private boarding school in Canada, Columbia International College. The city also boasts of a multi-million research center, David Braley Cardiac, Vascular and Stroke Research Institute that is home to more than 500 scientists. Hamilton has attractions that draw on its rich historical and social background including the Heritage Museum, Duldrum Castle, the Royal Botanical Gardens, the African Lion Safari Park, and Catheral of Christ the King. 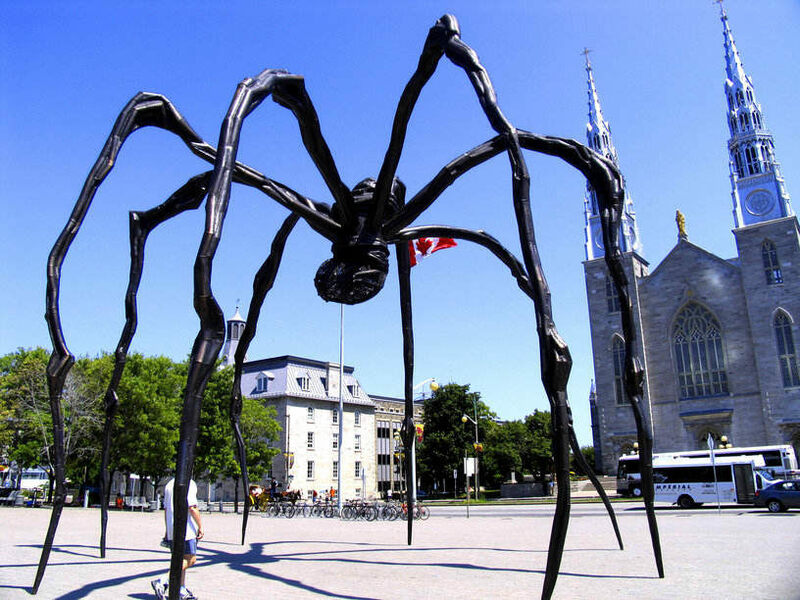 There is also the 3rd largest public art gallery in Ontario, the Art Gallery of Hamilton, which has more than 9,000 works in its collection on 19th century European and Canadian contemporary art. The city also has a vibrant theatre scene with professional and amateur companies playing in the Hamilton Theatre. In the field of sports, the city is represented in 2 professional sports leagues – Canadian Football League and Major League Lacrosse. The city has Ivor Wynne Stadium and Copps Coliseum. It also has an auto race track and fastest half-mile harness horse racing track. Lastly, the city won’t be outdone when it comes to festivals and events. Festival of Friends is the biggest free music event in Canada with major artists headlining the stage. Thousands of people also come to participate in Supercrawl, a 2-day festival showcasing indie music and art. 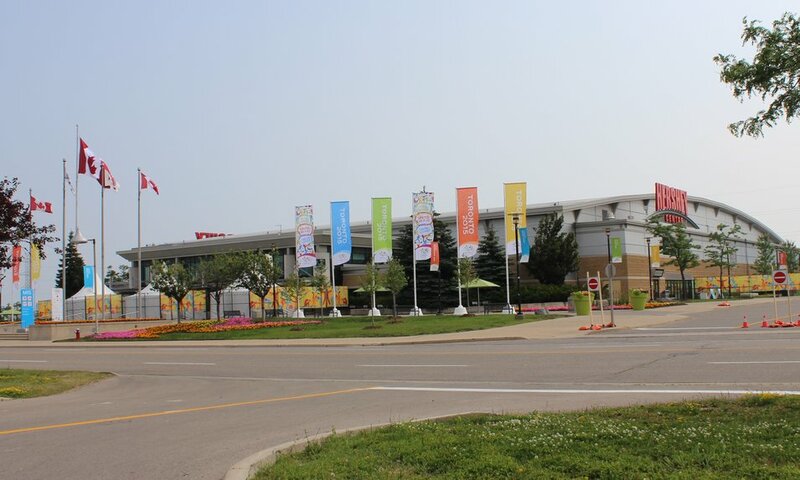 Then there’s the Great Lakes Expo7 which features family activities for everyone to enjoy. This 3-day event in spring is also joined by food vendors, arts and crafts, musical performers, and more. There is really a lot to enjoy in the city of Hamilton. Whether you are looking to move your family, move to study, or find a career change, you can’t do better than Hamilton. If you want to see how you can Plan your Relocation to Hamilton, check out moving tips and moving companies serving Hamilton and nearby areas. Vaughan is north of Toronto and has an estimated population of 288,301. Its population has grown twice in size from 1996 to 2006 and is now the 5th largest city in the Greater Toronto Area. According to Statistics Canada, it is one of Ontario’s fastest growing cities and is noted for having a large number of Europeans. Its Asian and Hispanic communities are also growing rapidly. Once a quiet suburban town, this progressive city has become a very attractive place to move to because of its diverse population and vibrant economy. It is touted to be one of the safest places to live in North America. The city is a leader in terms of jobs creation and has ranked consistently as one of the best places to live, work, and play in Canada. It is located just 10 minutes away from Pearson International Airport and boasts of an excellent network of public transit and rail. It is home to over 100 corporate headquarters which ensures that the local economy continues to expand, thrive, and provide job opportunities to residents. At the core of its downtown center is Vaughan Expo City which features over 2000 units all within walking distance from the subway. It is a mixed-use development which will allow people to live and work in a modern and unique environment. Being family-friendly, the city also boasts of the largest theme park in the country. Canada’s Wonderland and Vaughan Mills, one of the country’s biggest retail centers. It has an abundance of parks, green spaces, and other amenities that promote active and healthy lifestyles among its residents. The Boyd Conservation Area is a popular picnic destination. Thousands of people move to Vaughan each year to enjoy the high quality of life the city offers. Watch more about the city from a short presentation about Vaughan below. The city of Kitchener is a really fine place to live, work, or retire to in Ontario. It has a vibrant and spirited art and culture scene and numerous open spaces to enjoy an active and high-quality life. It is the center of art and cultural amenities in the Waterloo Region with a variety of festivals showcasing its rich and diverse heritage. Located west of Toronto, it is the seat of the Waterloo Region and has an estimated population of around 219,153. Its metropolitan area includes the cities of Cambridge and Waterloo. Kitchener and Waterloo are often considered Kitchener-Waterloo although they are different municipalities. Together with Cambridge, the area is known as the Tri-Cities. Whether you are a parent raising a young family, an urban professional, or a retiree, you can find the home of your dreams here. From rambling century homes to lofts and condos in the downtown area, the city offers many housing options. The city is truly remarkable as it provides the amenities you normally find in big cities without losing its small town charm. As part of Canada’s Technology Triangle, the city has a dynamic mix of new and traditional businesses. It has a rapidly growing high technology sector, and a thriving education sector. There are two city hospitals – St. Mary’s and Grand River Hospital- with state of the art facilities. It also has a wide range of public, private, and Catholic schools. 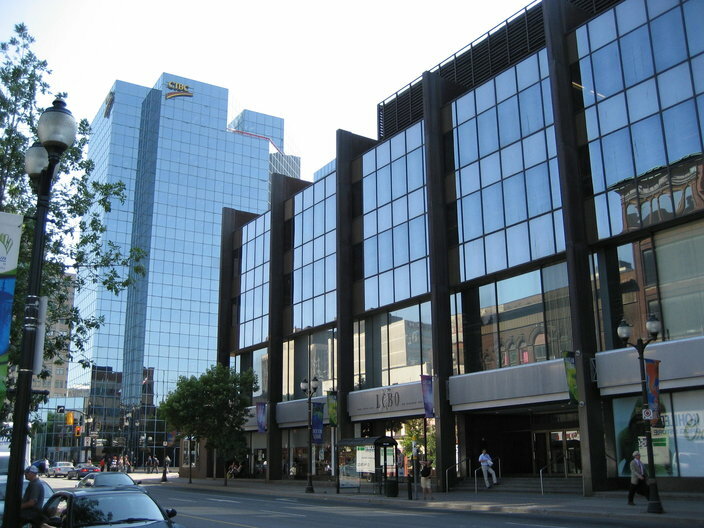 The University of Waterloo and Wilfrid Laurier University both maintain campuses downtown. The Conestoga College Institute of Technology is also highly regarded and ranks well among colleges in the region. There is a variety of programs and amenities residents can enjoy in the Waterloo region such as indoor and outdoor pools, community centers, sports and entertainment complexes, on top of its 305 parks and 115 playgrounds and open spaces. 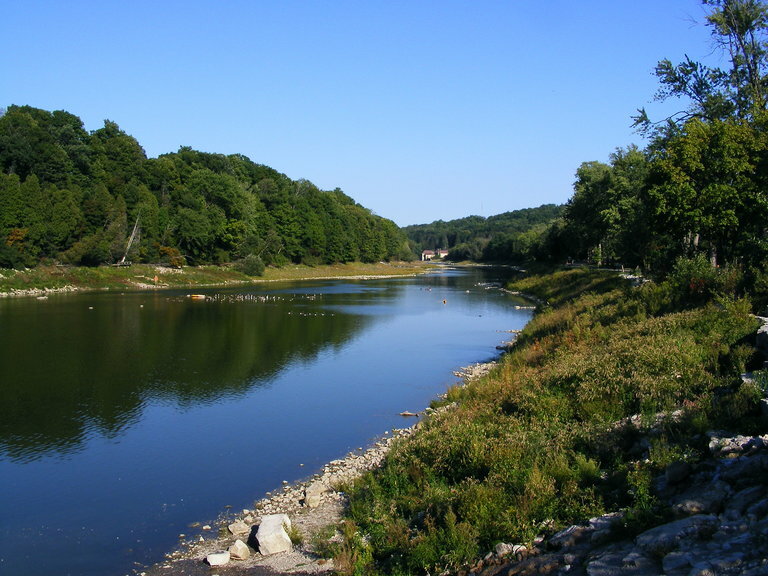 The Grand River is perfect for fishing, canoeing, and kayaking. Kitchener is, indeed, an idyllic place to move to in Ontario for its economic opportunities and excellent recreational and cultural amenities. Find information on employment opportunities in Kitchener to start planning your relocation to this wonderful city. Ontario has many small and big cities that cater to different tastes. The best place in Ontario to move to would actually depend on what you are looking for, what kind of occupation you want, and whether you want city living or small town living. For instance, Toronto has a thriving finance industry for those who are in this field but not a lot of opportunities for lumberjacks. Oshawa is located in Southern Ontario on the shorelines of Lake Ontario. It is around 60 kilometers east of downtown Toronto and has an estimated population of 149,607. 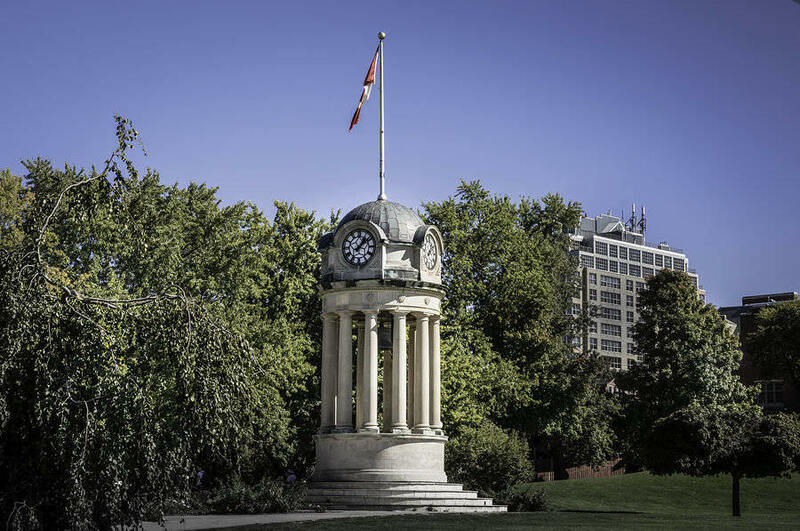 It is part of the Golden Horseshoe and considered the eastern anchor of the metropolitan area of Greater Toronto. It was once considered as the automotive capital of Canada but has transformed itself into a major hub for education and health sciences. 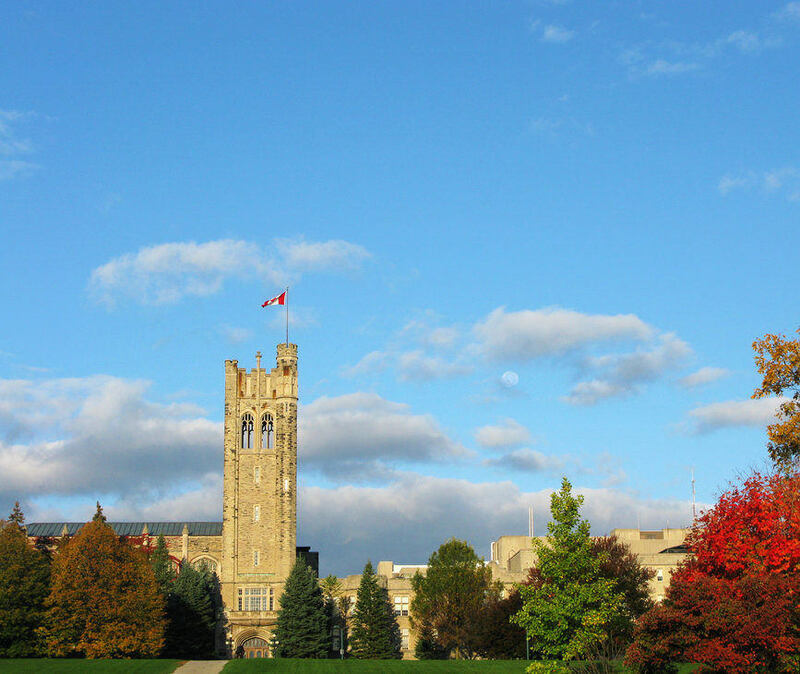 It is the home of 3 well-respected post-secondary academic institutions – Trent University, Durham College, and the University of Ontario Institute of Technology. Other major industries include health technology, energy, IT, logistics, and advanced manufacturing. There are over 5,000 people working in the city and around 2400 university students. Its downtown is a significant entertainment and sporting events center and has a multitude of restaurant and cafes. It also has a Regional Innovation Center offering start-up opportunities for entrepreneurs and small business establishments. General Motors Canada is a major employer with large scale administrative and manufacturing operations employing thousands of workers. 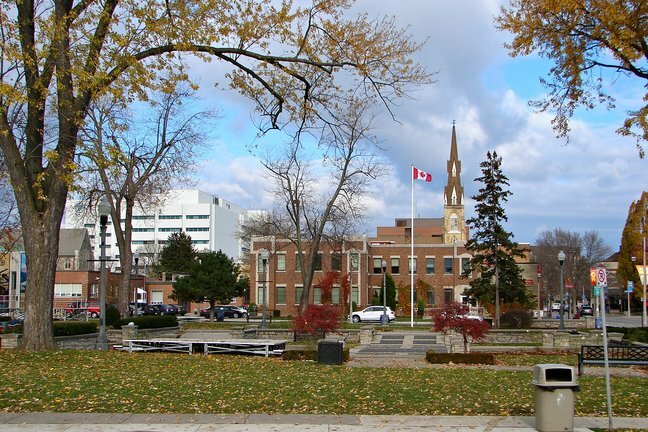 Oshawa is one of Canada’s fastest growing cities and has set new records for growth in 2015. Commuters are often enticed to live in Oshawa because of its lower housing costs and reliable rail service to Toronto provided by GO Transit and Via Rail. The Robert McLaughlin Gallery is the biggest public art gallery in the region and has a collection of over 4000 works. There are also many events and concerts staged all year round at Regent Theater. Oshawa Center is undergoing a multi-million renovation which when completed will make it even bigger than the mega mall Vaughan Mills. 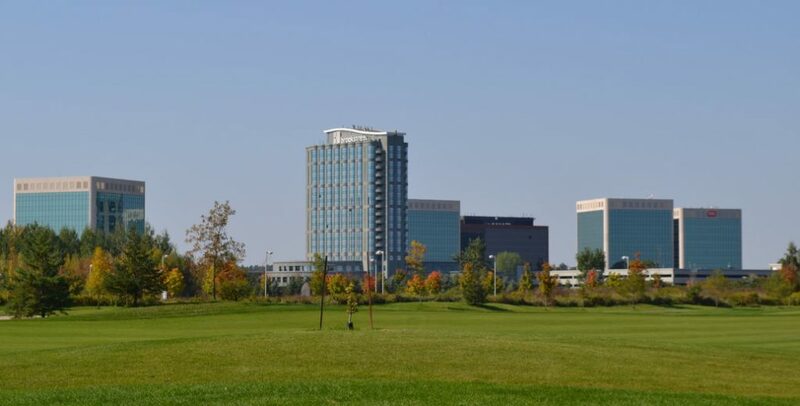 The northern areas of Whitby, Ajax, and Oshawa has several luxury residential communities, golf clubs, and rolling green space including the Oshawa Golf and Curling Club, Watson’s Glen, and Cherry Downs Golf and Country Club. Thousands of people choose to move to Oshawa and the Durham Region since it is an easy commute to Toronto but is far from the hustle and bustle. Its quality of life is excellent and housing is abundant and affordable. Due to its proximity to Lake Ontario, recreational opportunities are also endless. It is a wonderful place for living and raising a family with great work opportunities and wages. 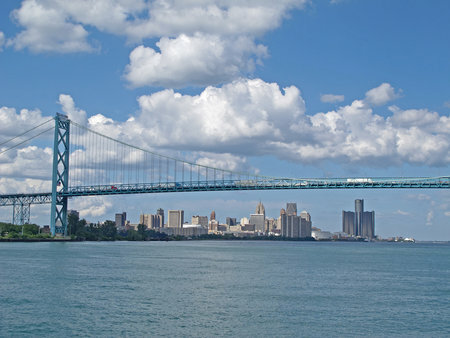 This southernmost city of Ontario is situated on the southern shores of the Detroit River directly across the city of Detroit, Michigan, USA. It is a primary contributor to the country’s automotive industry and has a diverse and rich culture and history. Its climate is humid continental with 4 distinct seasons. Its summers are one of the warmest in Canada with thunderstorms commonly occurring on an average of 32 days a year. Winters are mild with some cold periods. It also has the highest number of thunderstorms and lightning and periodic tornadoes. The city has an estimated population of 210,891. The Windsor metropolitan area consisting of Amherstburg, LaSalle, Lakeshore, Tecumseh, and Windsor has a population of 319,246 and is directly south of Detroit. It takes about 5 minutes to drive to Detroit, 4 hours to Toronto, and 5 hours to Chicago. It is smack in the middle of North America’s Great Lakes. It has a beautiful waterfront and with its milder winters, the city attracts a great number of families, retirees, and immigrants. The Department of Parks and Recreation takes care of 3,000 acres of green space, trails, 180 parks, and other natural areas for residents to enjoy. Mic Mac Park is the biggest and offers activities such as soccer, biking, sledding, and baseball. What other good reasons are there to move to Windsor? The Canadian Mortgage and Housing Corporation predicted Windsor’s unemployment rate will fall below 8% in 2016, benefitting from the recovery of the US economy and the construction of the new Gordie Howe International Bridge. The local economy relies on tourism, education, manufacturing, and government services. It is one of Canada’s major car manufacturing centers and is where the FCA Canada headquarters is located. Ford Motor Company has 2 engine plants, while FCA Canada has a minivan assembly plant. There are also numerous tool and die and auto parts manufacturers in the city. Over 30,000 people work in automotive production in General Motors, Ford, and Chrysler as well as auto-related industries such as seat covers and hub caps. It also has a booming tourism industry. Caesars Windsor is one of the biggest casinos in the country and also ranks as one of the city’s major employers. 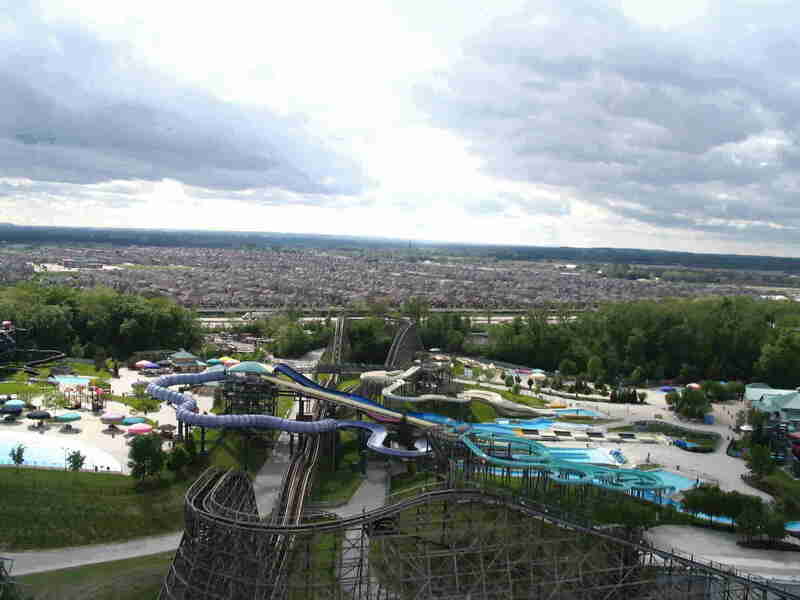 Its extensive riverfront parks system and excellent restaurants has also drawn thousands of visitors to the region. the local economy is further diversified by the sectors of pharmaceuticals, insurance, software, and alternative energy. If that is not enough of a draw, thestar.com reports that people looking to downsize or relocate their families in Canada should consider Windsor as it has the cheapest housing market. If you need information about employment opportunities in Windsor, the city provides no-charge assistance to jobseekers. The city of St. Catharines is the largest Canadian city in the Niagara Region and the 6th biggest urban area in Ontario. Located 51 kilometers south of Toronto across Lake Ontario, it is 19 kilometers inland from the US international boundary along the Niagara River. It is often nicknamed the Garden City because of its huge network of gardens, parks and trails covering about 1000 acres. People who live here as well as visitors enjoy a great number of activities. From touring world-class wineries, fabulous dining experiences, and numerous festivals and nightlife, there is no dull moment in the city. The picturesque and historic Port Dalhousie, a harbour front village, is something everyone can look forward to. The city also has an exciting culture and arts scene as evidenced by numerous galleries, theaters, music events, and public art displays. 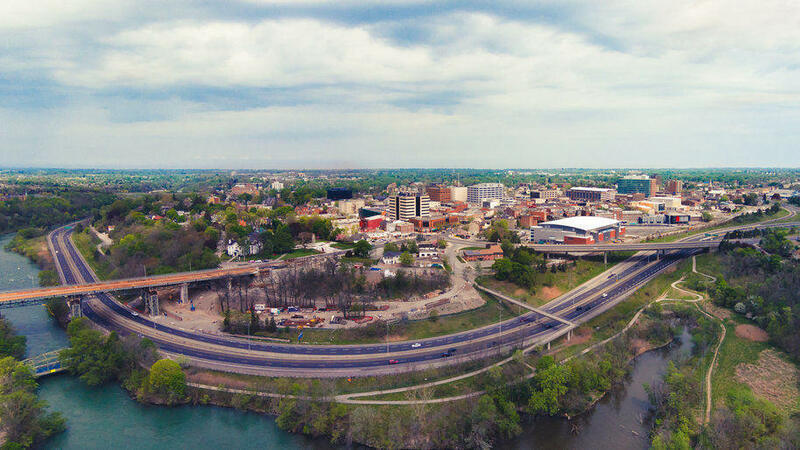 What are some of the advantages of moving to St. Catharines to live and work? 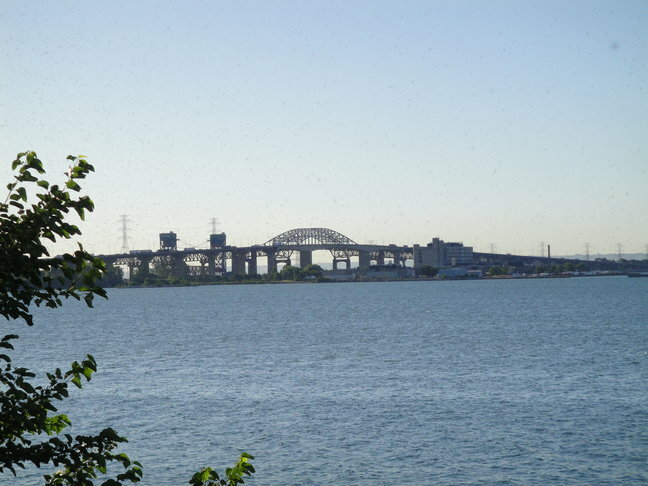 It is located between the Greater Toronto Area and Fort Erie-US border. The city’s major industry is manufacturing. It also lies on one of the main hubs for telecommunications between the US and Canada which accounts for the high number of call centers operating in the city. Its strategic location in the center of the Niagara Peninsula provides excellent access to the Canadian and US markets. Three bridges connect the region to the USA – Peace Bridge, Rainbow Bridge, and Queenston-Lewiston Bridge. As these are international borders, you will be required to present proof of identification to cross. The climate is humid continental and experiences a unique moderating influence due to the sheltering effect of the Niagara escarpment to the south and the Lake Ontario/Lake Erie. As a result, it has frost-free days in the winter although at times it does receive heavy snow during certain wind conditions. Summers are warm to hot with often high humidity. Thunderstorms are also commonplace but not as prevalent or severe as other cities in southern Ontario. This makes the city ideal not just for young families but for retirees, too. The Huffington Post included St. Catharines in its feature of Canada’s Best Cities for Jobs and Affordable Homes. The average home price is $321,595. With its proximity to other major Canadian cities and the US border, many deem it smart to invest in real estate in St. Catharines. There are several reputable universities in the city led by Brock University located on the Niagara Escarpment. McMaster University’s School of Medicine has a satellite campus since 2008 which educates students in local hospitals in the city. 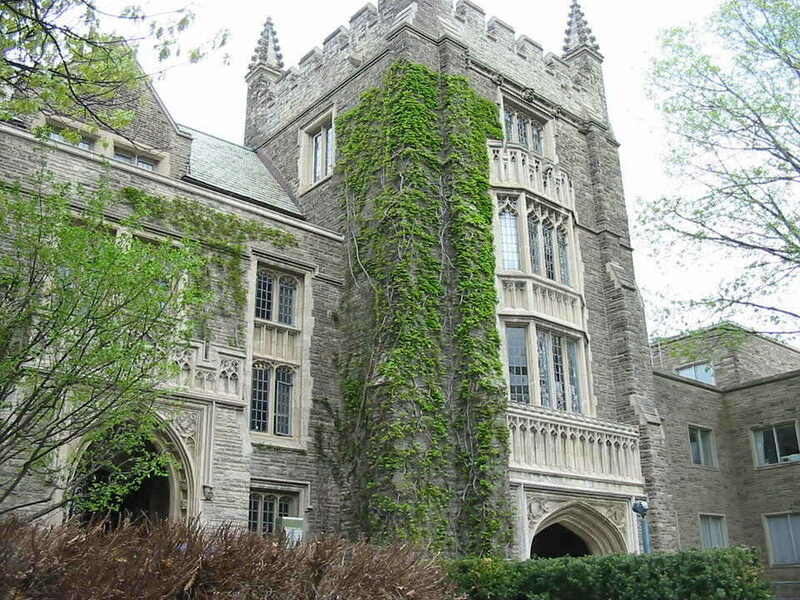 Ridley College is a co-educational boarding and day school located near the downtown area. To get around the city, you won’t need a car because St. Catharines Transit bus routes travel all parts of the city, with buses available regularly. If you are looking for an ideal place to start and grow a business in Ontario, check out how to start a business in St. Catharines and take advantage of the city’s investment incentives. Do you feel it is time to make a change? We have laid out the 15 Best Places in Ontario to move to for you to consider. We have made it as complete and informative as possible to help you choose your moving destination. We hope that at the end of your read, you can pare down your list of Ontario cities to just 1 or 2. Any one of these cities would be a great choice. Each city offers something unique and interesting. You can also narrow down your choice by looking at your housing cost, cost of living, and relocation cost. Take advantage of 5 free moving quotes from professional movers in your city. Our network has more than 200 partner moving companies that serve your current location. We are excited to help you move to any of the best cities in Ontario. We hope to hear from you soon!